Abstract: A novel full duplex Radio over Fiber (RoF) system extending from the central office (CO) to the mobile unit using a single continuous wave laser in the central station is proposed. Mobile unit is designed without a high frequency local oscillator. An optical frequency comb is generated in which one frequency is used as carrier for modulating data. The frequency for uplink is obtained from other comb signal. A large number of comb lines can be utilized along with the data comb line. Thus the frequency of operation of the base station can be selected by switching to different comb lines. The modulation scheme QAM accounts for greater spectral efficiency for the system. The proposed system is viable for high bandwidth communication and cost effective. 1. M. Sauer, A. Kobyakov, J. George, J.Lightwave Technology, 25(11), 3301 (2007). 2. Z. Jia, J. Yu, G. K. Chang, IEEE Photonics Technology Letters 18(16), 1726 (2006). 3. Kaszubowska, L. Hu, L. Barry, Photonics Technology Letters, IEEE 18(4), 562 (2006). 4. M. Larrod, A. Koonen,Microwave Theory and Techniques, IEEE Trans. on 56(1), 248 (2008). 5. L. Chen, Y. Shao, X. Lei, Photonics Technology Letters, IEEE 19(6), 387 (2007). 6. C. Zhang, T. Ning, J. Li, Optics Communications 344, 65 (2015). 9. M. A. Hameed, R. Hui, IEEE Photonics Technology Letters 26(17), 1734 (2014). Abstract: In PV based Solar and Tele-Communication industries power efficient DC-to-DC converters are required to manage the Fuel Cell Systems. These DC-DC converters should be high in power and efficiency as well as it should have low Electro Magnetic Induction [EMI]. The main motto of this systems are to raise the power by using Step-Up Conversion and improving the soft switching ratio. The usage of Coupled inductor and Isolated Transformers are satisfying the needs of higher voltage supply and soft switching scenario. For transforming the electro chemical energy into electrical energy fuell cells are needed, as well as this fuel cells are used to attain high efficiency, lower emitting ratio and speeder operating power while conversion. Several approaches have been already realized to these kind of DC-to-DC power conversion scenarios but failure free scenario of fuel cell systems needs the elimination of bad voltage switchings, requiring higher inputting power as well as large ranging of outputs with higher energy efficiency. For getting out from these faults we need a special Soft Switching nature of MOSFETs and resulting rectifiers. The proposed methodology combines the scenario of Fuzzy logical controllers [FLC] with Soft Swtching to attain higher efficiency over fuel cells and its performance improvements over anycase of output strategies. This nature will eliminates the losses os power occurred in switching strategies and reducing the back recovering losses and its nature as well as providing the trustworthy conditions in circuit nature and this kind of design eliminates the large circulations over initial stages. The proposed results will be experimentally proven by using MATLAB SIMULINK and Hardware Circuit Scenarios. Keywords: Fuzzy Logic, DC-to-DC, Fuel Cell [FC], Electro Magnetic Induction [EMI], Soft Switching. 1. J. E. Larminie and A. Dicks, Fuel Cell Systems Explained. Chichester, U.K.: Wiley, 2000. 2. M. Ordonez, P. Pickup, J. E. Quaicoe, and M. T. Iqbal, “Electrical dynamic response of a direct methanol fuel cell,” IEEE Power Electron. Soc. Newslett., vol. 19, no. 1, pp. 10–15, Jan. 2007. 3. J. Wang, F. Z. Peng, J. Anderson, A. Joseph, and R. Buffenbarger, “Low cost fuel cell converter system for residential power generation,” IEEE Trans. Power Electron., vol. 19, no. 5, pp. 1315–1322, Sep. 2004. 4. J. Wang, M. Reinhard, F. Z. Peng, and Z. Qian, “Design guideline of the isolated DC-DC converter in green power applications,” in Proc. IEEE Power Electron. Motion Control Conf., 2004, vol. 3, pp. 1756–1761. 5. R. Gopinath, S. Kim, J. Hahn, P. N. Enjeti, M. B. Yeary, and J.W. Howze, “Development of a low cost fuel cell inverter system with DSP control,” IEEE Trans. Power Electron., vol. 19, no. 5, pp. 1256–1262, Sep. 2004. 6. L. Palma and P. N. Enjeti, “A modular fuel cell, modular DC-DC converter concept for high performance and enhanced reliability,” IEEE Trans. Power Electron., vol. 24, no. 6, pp. 1437–1443, Jun. 2009. 7. G. Holmes, P. Atmur, C. C. Beckett, M. P. Bull,W. Y. Kong,W. J. Luo, D. K. C. Ng, N. Sachchithananthan, P. W. Su, D. P. Ware, and P. Wrzos, “An innovative, efficient current-fed push-pull grid connectable inverter for distributed generation systems,” in Proc. IEEE Power Electron. Spec. Conf., 2006, pp. 1504–1510. 8. E.-H. Kim and B.-H. Kwon, “High step-up resonant push-pull converter with high efficiency,” IET Power Electron., vol. 2, no. 1, pp. 79–89, 2009. 9. S. Jung,Y. Bae, S. Choi, and H. Kim, “A lowcost utility interactive inverter for residential fuel cell generation,” IEEE Trans. Power Electron., vol. 22, no. 6, pp. 2293–2298, Nov. 2007. 10. H. Kim, C. Yoon, and S. Choi, “A three-phase zero-voltage and zerocurrent switching DC-DC converter for fuel cell applications,” IEEE Trans. Power Electron., vol. 25, no. 2, pp. 391–398, Feb. 2010. Trans. Power Electron., vol. 23, no. 1, pp. 332–342, Jan. 2008. 12. X. Kong and A. M. Khambadkone, “Analysis and implementation of a high efficiency, interleaved current-fed full bridge converter for fuel cell system,” IEEE Trans. Power Electron., vol. 22, no. 2, pp. 543–550, Mar. 2007. 13. H. Cha and P. Enjeti, “A novel three-phase high power current-fed DC/DC converter with active clamp for fuel cells,” in Proc. IEEE Power Electron. Spec. Conf., 2007, pp. 2485–2489. 14. Averberg, K. R. Meyer, and A. Mertens, “Current-Fed Full Bridge Converter for Fuel Cell Systems,” in Proc. IEEE Power Electron. Spec. Conf., 2008, pp. 866–872. 15. M. Nymand and M. A. E. Andersen, “High-efficiency isolated boost DCDC converter for high-power low-voltage fuel-cell applications,” IEEE Trans. Ind. Electron., vol. 57, no. 2, pp. 505–514, Feb. 2010. 16. J.-M. Kwon, E.-H. Kim, B.-H. Kwon, and K.-H. Nam, “High-efficiency fuel cell power conditioning system with input current ripple reduction,” IEEE Trans. Ind. Electron., vol. 56, no. 3, pp. 826–834, Mar. 2009. 17. M. H. Todorovic, L. Palma, and P. N. Enjeti, “Design of a wide input range DC-DC converter with a robust power control scheme suitable for fuel cell power conversion,” IEEE Trans. Ind. Electron., vol. 55, no. 3, pp. 1247–1255, Mar. 2008.18. R. L. Andersen and I. Barbi, “A three-phase current-fed push-pull DC-DC converter,” IEEE Trans. Power Electron., vol. 24, no. 2, pp. 358–368, Feb. 2009. 19. J.-M. Kwon and B.-H. Kwon, “High step-up active-clamp converter with input-current doubler and output-voltage doubler for fuel cell power systems,” IEEE Trans. Power Electron., vol. 24, no. 1, pp. 108–115, Jan. 2009. 20. Y. Lembeye, V. D. Bang, G. Lefevre, and J.-P. Ferrieux, “Novel halfbridge inductive DC-DC isolated converters for fuel cell applications,” IEEE Trans. Energy Convers., vol. 24, no. 1, pp. 203–210, Mar. 2009. Abstract: The primary objective of any structural system is to support various types of loads acting either vertically or Horizontal or acting jointly with adequate safety. Any structural system should be designed in such a way that each and every element of the system should have ample rigidity, stiffness and strength against the anticipated loads. Any structural frame system with a provision of RC shear wall shows a desirable safety and stability up to 30 stories building height in lateral loads resistance. A RC framed shear wall is a combination of beams, columns interacting with reinforced concrete shear wall. Shear wall provide lateral stiffness to the building by cantilever action. In this study a G+19 story unsymmetrical [Floor plans] commercial building [L>3.6 least lateral dimension of building ], H> 3.3 least lateral dimension of building and is modeled with different position of shear walls and analysis conducted for joint displacement, Storey drift, Storey stiffness and Base shear force. These models are modeled with ETABS for static analysis as per IS 1893 -2002. The analysis results for different models are plotted to compare and to know the behavior of RCC frame structure with different position of shear walls. Keywords: Shear Wall, Core Wall, Bare Structure frame, static analysis, lateral loads. 1. IS: 875 (Part 1), 1987, “Code of Practice for Design Loads (Other Than Earthquake) for Building and Structures, Dead Loads”, Bureau of Indian Standards, New Delhi. 3. IS: 1893 (Part 1), 2002, “Criteria for Earthqauke Resistant Design of Structures- General Provisions and Building”, Bureau of Indian Standards, New Delhi. Abstract: Many technical papers were presented in the improvement of accuracy and visual quality. Image coding is developed over a long period with various enhancement techniques. In the area of digital image processing resources required in optimized methods for better representation of higher resolutions for progressive image processing. More research work required towards high-resolution representation in real time applications and focused more optimization methods for efficient system representation. But available resources are limited due to noise, due to the noisy overall system accuracy and efficiency will decrease. Fourier transform represents less accuracy and visual quality because projecting energy with noise in all the directions. Hence we propose a lower dimensional coding system with higher accuracy with spectral band interpolation; inter-frame correlative for noise removal and finally adaptive edge preservation for smooth representation. The proposed technique gives more accuracy and projected in the higher grid and hence the obtained system is robust. Keywords: Accuracy, Interpolation, Image Coding, Spectral Band, Edge Preserving. 1. P. Vandewalle, S. Su and M. Vetterli etal, “A frequency domain approach to registration of aliased images with application to super-resolution”, EURASIP Journal on Advances in Signal Processing, vol.6, 2006. 2. S. C. Park, M. K. Park, and M. G. Kang, “Super-resolution image reconstruction: a technical overview”, Signal Processing Magazine, IEEE, vol. 20(3), pp. 21–36, 2003. 3. Deepesh Jain, “Super resolution using Papoulis-Gerchberg Algorithm”. 4. N. Bharati, A. Khosla and N. Sood, “Image reconstruction using cubic b-spline interpolation”, India Conference(INDICON), Annual IEEE, pp. 1–5, 2011. 5. Kwok-Wai Hung,Wan-Chi Siu, “Single Image Super Resolution using Iterative Wiener Filter”, ICASSP, IEEE, 2012. 6. T. Tajbakhsh, “Combined Demosaicing and Adaptive Filtering on CFA Images”, IEEE Tenth International Symposium on Consumer Electronics, ISCE '06, 2006. 7. J. Allebach and P. W. Wong, “Edge-Directed Interpolation”, in ICIP, 1996. 8. YunfeiBai, Jing Hu, YupinLuo, “Self-Adaptive Blind Super-Resolution Image Reconstruction”, 3rd International Congress on Image and Signal Processing (CISP2010), 2010. 9. S. KumarMaurya, P. KumarMishra, R. KumarSingh and A. Kumar Misra, “Image enhancement by spline interpolation and adaptive power spectrum cut-off of filtered images”, in Advances in Engineering, Science and Management(ICAESM), International Conference on. IEEE, pp.423–428, 2012. 10. H. A. Aly and E. Dubois, “Specification of the observation model for regularized video up-sampling,” IEEE Trans. Video Processing, vol. 14, pp. 567-576, May 2005. 11. Y.-M. Zhu, “Generalized sampling theorem”, Circuits and Systems II: Analog and Digital Signal Processing, IEEE Transactions, vol. 39(8), pp. 587–588, 1992. 12. M.Irani and S.Peleg, “Motion analysis for image enhancement: resolution, occlusion and transparency”, JVCIP, 1993. 13. S. Izadpanahi, “Motion based video super resolution using edge directed interpolation and complex wavelet transform”, signal processing, Elsevier, vol. 93(7), pp. 2076-2086, 2013. 14. Wong, “Adaptive Bilateral Filtering of Image Signals using Local Phase Characteristics”, Signal Process. (Elsevier), Vol. 88, pp.1615, 2008. 15. Xiuju Liang, ZongliangGan, “Improved Non-Local Iterative Back Projection Method for Image Super-Resolution”, Sixth International Conference on Image and Graphics, ICIG, 2011. 16. J. Storkey, “Dynamic structure super-resolution”, Advances in Neural Information Processing Systems, pp.1319–1326, 2003. 17. T. Mitsunaga and S.K. Nayar, “Radiometric self-calibration”, in Proc. IEEE Int. Conf. Computer Vision and Pattern Recognition, vol.1, pp. 374–380. 1999. 18. Rujul R, Makwana Nita and D Mehta, “Single Image Super-Resolution VIA Iterative Back Projection Based Canny Edge Detection and a Gabor Filter Prior”, International Journal of Soft Computing and Engineering, IJSCE, Vol. 3(1), 2013. 19. H. Engl, M. Hanke, A. Neubauer, “Regularization of Inverse Problems, Dordrecht”, Kluwer Academic Publishers, 1996. 20. N. Nguyen, G. Golub, P. Milanfar, “Blind Restoration/Super Resolution with Generalized Cross-Validation using Gauss-Type Quadrature Rules”, in Conference Record of the -Third Asilomar Conference on Signals, Systems, and Computers, vol. 2, pp. 1257–1261, 1999. 21. Mohamed K, Hardie R, “A Collaborative Adaptive Wiener Filter for Image Restoration using a Spatial Domain Multi-Patch Correlation Model”, Eurasia J Adv Signal Process. 2015. Abstract:Various update frameworks have been created to help elderly individuals with dementia. The current update frameworks do not have the attention to human setting, the thoughtful human-machine communication, and the adaptability of individual adjustment. To adapt to the constraints, we are as of now concentrate on another update benefit for individuals with dementia. In particular, we misuse a BLE-based indoor situating framework to catch the present area and setting of the patient, instead we use RFID Tags for Indoor position system . We then utilize a virtual operator framework for rich co-operations. we build up a timetable administration framework for customized updates. To coordinate these heterogeneous frameworks, we re-plan and convey the frameworks as three administrations with Web-API: Location Service, Agent Service, and Schedule Service. These administrations are approximately incorporated by Coordinator Service, in view of the administration arranged design, In this paper, we initially show the framework engineering, and after that we talk about the key thought to actualize the administrations. We likewise illustrate "update at the passage" as a handy situation of the proposed administrations. Keywords: Dementia, IPS, GPS, Virtual Agent, Wi-Fi, RFID, Android. 1. M. Prince, A. Wimo. M. Guerchet, Y.T. W. Gemma-Claire Ali, and M. Prina, "World Alzheimer report 2015", Alzheimer's Disease International, August 2015. 2. World Alzheimer Report 2016, "Improving healthcare for people living with dementia", Alzheimer’s Disease International. 3. Yuki Kashio, Shinsuke Matsumoto, Seiki Tokunaga, Sachio Saiki and Masahide Nakamura, " Design and Implementation of Service Framework for Presence Sensing in Home Network System", Proceedings of the Third International Conference on Digital Information, Networking, and Wireless Communications, Moscow, Russia 2015. 4. F.J.M. Meiland , A. Reinersmann , B. Bergvall Kareborn, D. Craig , F. Moelaert, M.D. Mulvenna, " Development and evaluation of an ICT device for people with mild dementia ", COGKNOW. 5. Ricardo Castellot Lou, Angele Giuliano, and Maurice D. Mulvenna," State of the Art in Electronic Assistive Technologies for People with Dementia ". 6. Josef Hallberg, Basel Kikhia, Johan E. Bengtsson, Stefan Sävenstedt, Kåre Synnes, " Reminiscence Processes Using Life-Log Entities for Persons with Mild Dementia "
7. Masahide Nakamura, Akihiro Tanaka, Hiroshi Igaki, Haruaki Tamada, Ken-ichi Matsumoto, "Constructing Home Network Systems and Integrated Services Using Legacy Home Appliances and Web Services ", International Journal of Web Services Research, 5(1), 81-97, January-March 2008. 8. Jaewoo Chung, Matt Donahoe, Chris Schmandt, Ig-Jae Kim, Pedram Razavai, Micaela Wiseman," Indoor Location Sensing Using Geo-Magnetism ", MIT Media Laborator. 9. Frank Sposaro, Justin Danielson, Gary Tyson, "iWander: An Android Application for Dementia Patients", Florida State University Tallahassee, Florida. Abstract: In today’s scenario an artificially constructed meta-materials have become the topic of significant interest, because these material shows the electromagnetic characteristics. In order to achieve negative electrical permittivity and negative magnetic permeability NRW method is presented. The propagation of electromagnetic waves is determined by a two fundamental characteristic quantities such as the electrical permittivity ε and the magnetic permeability μ. In this paper, by the use of CST simulator which is based on Finite element method, S parameters are extracted. By the use of MATLAB script, the permittivity and permeability curves are calculated. Perfect electric and perfect magnetic (PE-PM) boundary conditions methods are employed in CST to extract the S parameters. To excite the structure, wave ports are used. Keywords: Permeability, Permittivity, S11 Parameter, S21 Parameter. 1. V. G. Veselago, “The electrodynamics of substances with simultaneously negative values of _ and μ,” Sov. Phys.—Usp, vol. 10, no. 4, pp. 509–514, 1968. 2. S. Awasthi, A. Biswas and M. J. Akhtar, “Compact Bandstop Filter Using Triangular Metamaterial Mushroom Resonators,” Asia-Pacific Microwave Conference Proceedings (APMC), December 2012, pp. 217-219. 3. Z. M. Thomas, T. M. Grzegorczyk, B. Wu and J. A. Kong, “Enhanced Microstrip Stopband Filter Using a Metamaterial Substrate,” Microwave and Optical Technology Letters, 48, 8, February 2006, pp. 1522-1525. 4. Tseng and C. Chang, “Improvement of Return Loss Bandwidth of Balanced Amplifier Using Metamaterial-Based Quadrature Power Splitters,” IEEE Microwave and Wireless Components Letters, 18, 4, April 2008, pp. 269-271. 5. K. W. Eccleston, “Planar N-way Metamaterial Power Divider,” Asia Pac ifi c Microwave Conference (APMC), December 2009, pp. 1024-1027. 6. H. Kim and C. Seo, “Inverse Class-F Power Amplifier Using the M metamaterial Structure on the Harmonic Control Circuit,” Microwave and Optical Technology Letters, 50, 11, February 2008, pp. 2881-2884. 7. Tseng and C. Chang, “Microwave Push-Pull Power Amplifier Using Metamaterial-Based Baluns,” Asia-Pacific Microwave Conference (APMC), December 2008, pp.1-4. 8. R. O. Ouedraogo and E. J. Rothwell, “Metamaterial Inspired Patch Antenna Miniaturization Technique,” IEEE Antennas and Propagation Society International Symposium, July 2010, pp. 1-4. 10. May 2013, pp. 981-985. 11. M. S. Sharawi, A. B. Numan, and D. N. Aloi, “Isolation Improvement in a Dual-Band Dual-Element MIMO Antenna System Using Capacitively Loaded Loops,” Progress In Electromagnetic Research, 134, 2013, pp. 247-266. 12. C. R. Simovski, Belov, A. P. Bavel and S. He, “Backward Wave Region and Negative Material Parameters of a Structure Formed by Lattices of Wires and Split-Ring Resonators,” IEEE Transactions on Antennas and Propagation, AP-51, 10, October 2003, pp. 2582-2591. 13. 20. D. R. Smith, D. C. Vier, Th. Koschny and C. M. Soukoulis,“Electromagnetic Parameter Retrieval from Inho mogeneous Metamaterials,” Physics Review E, 71, 3, 2005, 036617. 14. Ahmad B. Numan and Mohammad S. Sharawi, “Extraction of Material Parameters for Metamaterials Using a Full-Wave Simulator”, IEEE Antennas and Propagation Magazine, Vol. 55, No. 5, October 2013. 15. Monika Dhillon and Pradeep Dimri, “Design of Metamaterials in HFSS and Extraction of Permittivity and Permeability using NRW Method”, International Journal of Electronics, Electrical and Computational System IJEECS ISSN 2348-117X Volume 4, Special Issue May 2015. Abstract: Drilling is one of the most common and fundamental machining processes. In machining, Carbide twist drills with diameter of 10 mm are used. Most of automotive components are manufactured using a conventional machining process, such as turning, drilling, milling, shaping and planning, etc.. These focus on producing high quality products in time at minimum cost. The surface roughness is considered to be a measure of the quality of a product. The aim of the present work is to optimize cutting conditions (Cutting speed, feed and cutting fluid pressure) parameters for minimum Surface Roughness in drilling of EN-9 using Taguchi Approach. Experiments were conducted based on the design of experiments (DOE) and followed by optimization of the results using Analysis of Variance (ANOVA) to find the minimum surface roughness. Keywords: Surface Roughness, Analysis of Variance (ANOVA), Design of Experiments (DOE), Taguchi. 1. Anil Jindal. “Analysis of Tool Wear Rate in Drilling Operation using Scanning Electron Microscope (SEM),” Journal of Minerals & Materials Characterization & Engineering, Vol. 11, No.1(2012), pp.43-54. 2. C. Manikandan, B. Rajeswari, “Study of Cutting Parameters on Drilling EN24 Using Taguchi Method,” International Journal of Engineering Research & Technology (IJERT) IJERTV2IS70094, Vol. 2 Issue 7, July – 2013 ISSN: 2278-0181. 3. N. G. Patil, Ameer Asem, R. S. Pawade, D.G. Thakur, P.K. Brahmankar, “Comparative study of high speed machining of Inconel 718 in dry condition and by using compressed cold carbon dioxide gas as coolant,” New Production Technologies in Aerospace Industry - 5th Machining Innovations Conference (MIC 2014), Procedia CIRP 24 ( 2014 ) 86 – 91. 4. I. Sultana, M. M. H. Chowdhury and N. R. Dhar, “Optimization of flow rate and pressure of high pressure coolant in turning AISI-4320 steel: temperature, chip reduction coefficient and surface roughness,” proceedings of the 4th BSME-ASME international conference on thermal engineering 27-29 December, 2008, Dhaka, Bangladesh. 5. Anselmo Eduardo Diniz, Ricardo Micaroni,,“Influence of the direction and flow rate of the cutting fluid on tool life in turning process of AISI 1045 steel,” International Journal of Machine Tools & Manufacture 47 (2007) 247–254. 6. Sudesh Garg, Ravi Kumar Goyal, “A Study of Surface Roughness in Drilling of AII H11 Die Steel using Face Centered Design,” IJIRST Volume 1, Issue 12, (May 2015), ISSN: 2349-6010. Abstract: In this paper, a mixed-logic design of decoders, combining modified GDI logic, transmission gate logic, and pass transistor logic has been proposed. A novel topology is presented for the 2-4 decoders: a 15- transistor topology on the intension of achieving low power and low delay. Further, three decoders 3-8, 4-16 and 5-32 are implemented by using mixed-logic 2-4 decoders. MGDI technique uses same number of transistors present in CMOS the main difference is the providing input signals to the source and gate terminals. These all proposed decoders reduce the power and delay compared to conventional CMOS decoders. The proposed 2x4 decoder is implemented to decrease power; increase the performance is used in full adder and 4×4 bit SRAM array. Finally simulations are done by using CMOS 130nm mentor graphics tool to give a significant improvement in power and delay. Keywords: Decoders; sense amplifier; SRAM cell; high speed; mixed logic; MGDI logic. 1. Dimitrios Balobas and Nikos Konofaos, “Design of Low-Power High-Performance 2–4 and 4–16 Mixed-Logic Line Decoders”, IEEE TRANSACTIONS ON CIRCUITS AND SYSTEMS, vol.64, no.2, February 2017. 2. V. Bhatnagar, A. Chandani, and S. Pandey, “Optimization of row decoder for 128 × 128 6T SRAMs,” in Proc. IEEE Int. Conf. VLSI-SATA, 2015, pp. 1–4. 3. K. Mishra, D. P. Acharya, and P. K. Patra, “Novel design technique of address decoder for SRAM,” Proc. IEEE ICACCCT, 2014, pp. 1032–1035. 4. N. Lotze and Y. Manoli, “A 62 mV 0.13 μm CMOS standard-cell based design technique using Schmitt-trigger logic,” IEEE J. Solid State Circuits, vol. 47, no. 1, pp. 47–60, Jan. 2012. 5. N. H. E. Weste and D. M. Harris, CMOS VLSI Design, a Circuits and Systems Perspective, 4th ed. Boston, MA, USA: Addison-Wesley, 2011. 6. M. A. Turi and J. G. Delgado-Frias, Decreasing energy consumption in address decoders by means of selective pre-charge schemes,” Microelectron. J., vol. 40, no. 11, pp 1590–1600, 2009. 7. D. Markovi´c, B. Nikoli´c, and V. G.Oklobdžija, “A general method in synthesis of pass-transistor circuits,” Microelectron. J., vol. 31, pp. 991–998, 2000. 8. R. Zimmermann and W. Fichtner, “Low-power logic styles: CMOS versus pass-transistor logic,” IEEE J. Solid State Circuits, vol. 32, no. 7, pp. 1079– 1090, Jul. 1997. 9. V. G. Oklobdzija and B. Duchene, “Pass-transistor dual value logic for low-power CMOS,” in Proc. Int. Symp. VLSI Technol., 1995, pp. 341–344. 10. M. Suzuki et al., “A 1.5 ns 32b CMOS ALU in double pass-transistor logic,” in Proc. IEEE Int. Solid-State Circuits Conf., 1993, pp.90–91. 11. X. Wu, “Theory of transmission switches and its application to design of CMOS digital circuits,” Int. J. Circuit Theory Appl., vol. 20, no. 4, pp. 349–356, 1992. 12. K. Yano et al., “A 3.8-ns CMOS 16 × 16-b Multiplier using complementary pass-transistor logic,” IEEE J. Solid-State Circuits, vol. 25, no. 2, pp. 388–393, Apr. 1990. Abstract: Extrusion is a process used to create jobs of a fixed cross sectional profile. A material is pushed or drawn through a die of the desired cross section in this particular problem the radius of an Aluminum cylindrical bar is reduced 33% by an extrusion process. The generation of heat due to plastic dissipation in side the bar and the frictional heart generation at the work piece/die inter face are considered. This analysis has been performed in ABACUS/standard. A fully coupled temperature- displacement analysis is performed with the die kept at a constant temperature. In ABAQUS/standard the die is modeled with CAX4T elements made into an iso thermal rigid body using the *RIGID BODY, ISO THERMAL option are made with an analytical rigid surface. The results obtained with ABAQUS/standard. After analyzing and simulating on two different materials ALUMINIUM & COPPER it is observed that copper offers better extrusion capabilities as compared to aluminum. 1. Fuh-Kuo Chena, Wen-Chan Chuang, Shan Torng “Finite element analysis of multi-hole extrusion of aluminum-alloy tubes” Journal of Materials Processing Technology 201, Volume 150–155, 2008. 2. Lontos.A.E, Soukatzidi.F.A, Demosthenou.D.A, Baldoukas.D.K, “Effect Of Extrusion Parameters And Die Geometry On The Produced Billet Quality Using Finite Element Method” Greece Manufacturing Engineering (ICMEN), Volume 1-3, 2008. 3. Tiernan.P, Hillery.P.T, Draganescu.M and Gheorghe.M, “Modelling of cold extrusion with experimental verification” Journal of Materials Processing Technology,Volume 168, Issue 360–366, 2008. 5. Alexander.J.M, “Hydrostaticextrusion”. ISBN10: 0263517098 / 0-263-51709-8 ISBN13: 9780263517095, Publication Date: 1971. 8. Carmai.S.J.J, Pitakthapanaphong.S, Sechjarern.S, “3DFinite element analysis of metal flow in hot aluminium extrusion of T-shaped profile with various offset pockets”. Volume 31, ISSUE 2, 2008. 9. Drozda et.al., “Tool and Manufacturing Engineers Handbook: Forming”, Volume 2, 1984, SME, ISBN 0872631354. 12. Lambert and other “A theory on the mechanical of axisysmmetric exit through conical die”. Volume 91, Issues 10696-24063, 1988. 13. Oberg et.al., “Machinery's Handbook”, New York: Industrial Press, ISBN 0-8311-2635- Volume 3, 2008. 14. Pugh “Redundant work and friction in the Hydrostatic Extrusion”,Mech.Engg. Science,1964. 15. Sortais.H.C and kobtyshi, “An optimum die profile for axisymmertric extrusion.” Publisher Society of Manufacturing Engineers, 2003. 16. Yenger and Rice “Fluid flow Lubricating in the Hydrostatic Extrusion” Mechanical Engineering. Publisher Mc Graw-Hill book company, inc., 1935. Abstract: Manufacturing of any product requires different machining processes to get desired finished component. This project refers to the optimization of process parameters in turning process using Taguchi method (L9) in order to obtain efficient Material Removal Rate (MRR). EN 24 is used as work-piece for carrying out experiment to optimize Material Removal Rate which is influenced by three machining parameters namely spindle speed, feed rate and depth of cut. Different experiments are done by varying one parameter and keeping other two fixed so that optimized value of each parameter can be obtained. In this project dry turning operation of EN 24 graded steel is performed using HSS tool. The range of cutting parameters at three levels are spindle speed (200, 350 and 500 rpm), feed rate (0.1, 0.15 and 0.2 mm/rev), depth of cut (1.0, 1.5 and 2.0 mm) respectively. Taguchi method is a good method for optimization of various machining parameters as it reduces number of experiments. Taguchi orthogonal array is designed with three levels of process parameters and ANOVA is applied to know the influence of each parameter on Material Removal Rate. For the given set of conditions, spindle speed influences more on Material Removal Rate followed by feed rate and depth of cut. 1. 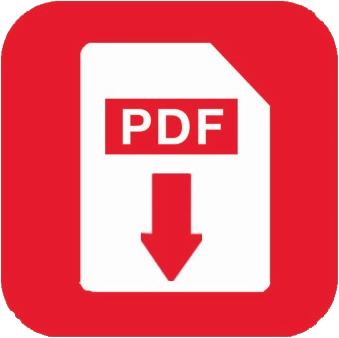 Singh H. and Kumar P., (2006), “Optimizing Feed Force for Turned Parts through the Taguchi Technique”, Sadhana, Volume 31, Number 6, pp. 671–681. 2. Ahmed S. G., (2006), “Development of a Prediction Model for Surface Roughness in Finish Turning of Aluminium”, Sudan Engineering Society Journal, Volume 52, Number 45, pp. 1-5. 3. Mahmoud E. A. E. and Abdelkarim H. A., (2006), “Optimum Cutting Parameters in Turning Operations using HSS Cutting Tool with 450 Approach Angle”, Sudan Engineering Scoeiety Journal, Volume 53, Number 48, pp. 25-30. Abstract: In the recent years, development of a non-destructive and non-contacting type moisture measurement system has attracted considerable interest. Because of their inherent nature of being nondestructive, non-conductive medium and having deep penetrative properties, Microwaves have been the traditional choice in this kind of research. This paper is a comprehensive review of Microwave Based Measurement System used for grains and pulses. In this paper, moisture measurement and calibration techniques for the system are presented. The objective of the paper is to provide the readers a broad perspective of microwave based techniques for measurement of moisture in bulk in silos or in sacks. Abstract: IoT will solve main problems faced by the people living in cities like pollution, traffic congestion and shortage of energy supplies etc. Products like cellular communication enabled Smart Belly trash will send alerts to municipal services when a bin needs to be emptied. Smart city is another powerful application of IoT generating curiosity among world’s population. Smart surveillance, automated transportation, smarter energy management systems, water distribution, urban security and environmental monitoring all are examples of internet of things applications for smart cities. We know IoT applications cover wide range of domain but in this paper we cover IoT application related to smart city like Smart Parking, Smart Lighting, Smart Roads, Structural Health Monitoring etc. 8. A Bahga and V Madisetti, “Internet of Things: A Hands-On Approach,” University Press India Private Limited. Abstract: Using Dual Mode Transmission Gate Diffusion Input Logic (DMTGDI), a four bit ALU has been designed. The ALU can perform four arithmetic and four logical operations. Dual Mode Transmission Gate Diffusion Input (DMTGDI) logic has been promising in realizing increased functionality on a chip. The main advantage of this new logic called DMTGDI is low power and high performance. For low power applications there are so many conventional techniques are available. For reducing power consumption, sub-threshold circuit design is the one of the most important techniques. But the circuit in sub-threshold region operates with so many sensitivities and constraints. Mostly the performance of the circuit which is operated in sub-threshold region is degraded. To increase the performance of the circuit in sub-threshold region one of the most effective logic used is called as Dual Mode Logic (DML). So DML is the one of the techniques used for high speed. Another important technique is established for reducing power consumption is called Transmission Gate Diffusion Input (TGDI). In the next step, we propose to use Transmission Gate Diffusion Input (TGDI) as a foundation for new Dual Mode logic called “DMTGDI or Dual Mode Transmission Gate Diffusion Input” logic. So DMTGDI combines the advantages of both DML and TGDI. Simulations have been performed in mentor graphics tool using 130nm. Pre-layout simulation results reveal that ALU design using DMTGDI logic is more advantageous than ALU design using conventional CMOS logic. Keywords: ALU, TGDI, DML, DMTGDI, CMOS. 1. Chandra Srinivasan, A Thesis “arithmetic logic unit (alu)” design using reconfigurable CMOS logic” Bachelor of Engineering, Mysore University, 1997. 2. A. Srivastava and D. Govindarajan, “A fast ALU design in CMOS for low voltage operation”, J. of VLSI Design, vol. 14, no. 4, pp. 315- 327, 2002.
vol.2, pp. 663- 666, Aug. 2002. 4. S. Kumar Gupta, A. Ray chowdhury, K. Roy, Digital computation in subthreshold region for ultra-low power operation: a device circuit architecture co-design perspective, Proc. IEEE 98 (2) (2010) 160–190. 5. I. Levi, A. Kaizer man, A.Fish, Low voltage dual mode logic: model analysis and parameter extraction, Micro electron. J. 44(2013)553–560. 6. A. Kaizerman, S. Fisher, A. Fish, Subthreshold dual mode logic, IEEE Trans. Very Large Scale Integr. (VLSI) Syst. 21 (5) (2013) 979–983. 7. Elahe Rastegar Pashaki, M.Shalchian Electrical Engineering Department, Amirkabir University of Technology, 424 Hafez Ave., Tehran, Iran “Design and simulation of an ultra-low power high performance CMOS logic: DMTGDI” Integration, the VLSI journal 55(2016)194–201. 8. R. J. Baker, H.W. Li and D.E. Boyce, CMOS Circuit Design, Layout and Simulation, IEEE Press, 1998. 10. A.M. Shams and M.A. Bayoumi, “A novel high- performance CMOS 1 - bit full- adder cell”, IEEE Trans. on Circuits and Systems II: Analog and Digital Signal Processing, vol. 47, pp. 478 –481, May 2000. Abstract: Glycine is one of the simplest amino acid that has no asymmetric carbon atom and is optically inactive. It is mixed with other organic or inorganic salts and acids to obtain new complexes and these complexes have improved chemical stability, thermal, optical, mechanical, electrical, linear and nonlinear optical properties. Many glycine based crystals are known to be having interesting properties and in this work, cesium chloride and rubidium chloride are separately added in small amounts into the lattice of glycine crystals to get the doped samples for the research work. Single crystals of undoped, cesium chloride doped and rubidium chloride doped glycine were grown by solution method and grown crystals were analyzed by various characterization techniques. Solubility was measured for the samples. XRD study was carried out to find the crystal structure and hardness study was done on the crystals to find the mechanical strength. Second harmonic generation studies were carried out to find SHG efficiency. Density and structural characterization was performed for the samples. Photoconductivity studies were carried out for the samples and the results are discussed. 1. D. Eimert, S. Velsko, L. Davis, F.Wang, G. Loiaceono, G. Kennedy, IEEE J. Quantum Electron. 25 (1989) 179. 2. M.D. Aggarwal, J. Choi,W.S.Wang, K. Bhat, R.B. Lal, A.D. Shield, B.G. Penn, D.O. Frazier, J. Crystal Growth 204 (1999) 179. 3. P.Selvarajan, J.Glorium ArulRaj, S.Perumal J. Crystal Growth 311 (2009) 3835. 4. D. Rajan Babu, D. Jayaraman, R. Mohan Kumar, R. Jayavel, J. Crystal Growth (2002) 121. 5. Ramesh Kumar, S. Gokul Raj, R. Sankar, R. Mohan, S. Pandi, R. Jayavel, J. Crystal Growth 7 (2004) 213. 6. S.Hoshino, T.Mitsui, F.Jona, R.Pepinsky, Phys.Rev.115 (1959) 323. 7. Hung-Wen Li, Gu-Shen Yu, Herbert L. Strauss, J. Phys. Chem. B102 (1998) 298. 8. S. Natarajan, K. Ravikumar, S.S. Rajan, Z. Kristallogr. 168 (1984) 75. 9. Tapati Mallik, Tanusree Kar, Cryst. Res. Technol. 40 (2005) 778. 10. R. Muralidharan, R. Mohankumar, P.M. Ushasree, R. Jayavel,P. Ramasamy, J. Crystal Growth 234 (2002) 545. 11. J.K. Mohan Rao and M.A. Vishwamitra, Acta Crystallogr. B 28 (1972)1484. 12. S.A. Martin Britto and S. Natarajan, Mater. Lett., 62 (2008) 2633-2636. 13. R. Shanmugavadivu, G. Ravi and A. Nixon Azariah, J. Phys. and Chem. Solids, 67(2006)1858-1861. 14. M.R. Suresh Kumar, H.J. Ravindra and S.M. Dharmaprakash, J. Cryst. Growth, 306 (2007)361-365. 15. C.S.Towler, R.J. Davey, R.W. Lancaster, C.J. Price, J. Am. Chem. Soc. 126 (2004) 13347. 16. G.D. Profio, S. Tucci, E. Curcio, E. Drioli, Cryst. Growth Des. 7 (2007) 526. 17. P.Yasotha, R.Thiagarajan, P.Sagunthala, Int. J. Chem. Phys. Sci. 4(2015)99. 18. P.Manimekalai and P.Selvarajan, J. Chem.Pharma. Res. 7(2015)691-696. 19. A. Siva Dhas, P. Selvarajan, and T. H. Freeda, Materials and Manufacturing Processes, 24 (2009) 584. 20. Richard E.Marsh, Acta Cryst. 11(1958)654. 21. S.K. Kurtz, T.T. Perry, J. Appl. Phys. 39 (1968) 3798. 22. B.W. Mott, Micro Indentation Hardness Testing, Butterworths, London (1956). 23. R. H. Bube, Photoconductivity of solids, Wiley, New York (1981). Abstract: Additive manufacturing (AM) known as 3D printing has been applied for applications in different fields such as aerospace, automotive, biomedical, and energy industries. Currently, with the rapid growth of this technology, there are a large number of 3D printing methods in the market. Each method has its own advantages, applications, and limitations. Materials used for printing also are classified into groups such as polymers, metals, ceramics, and cermets. Along with research on new materials, new printing technologies, 3D printers are more widely applied. For education field in universities, rapid prototyping from 3D printing enables to build 3D models for graphic design and rapid prototyping courses. On the basis of inheriting the available research for training in universities, the authors propose the design and manufacture of 3D printers using FDM printing method. This paper presents the results of design and fabricating 3D printer. The printing test results have demonstrated the functionalities of the designed machine. Keywords: 3D printer, FDM, additive manufacturing, rapid prototyping, ABS, PLA. 1. Vinesh Raja and Kiran J. Fernandes, Reverse Engineering, Springer, 2008. 2. G. Baronio, S. Harran, and A. Signoroni, “A critical analysis of a hand orthotics reverse engineering and 3D printing process,” Applied Bionics and Biomechanics, vol. 2016, pp. 1-7, 2016. 3. Ali Kamrani and Emad Abouel Nar, Rapid prototyping: Theory and Practice, Springer, 2006. 4. Grzegorz Budzik, “The use of the rapid prototyping method for the manufacture and examination of gear wheels,” in Advanced Applications of Rapid Prototyping Technology in Modern Engineering, InTech publisher, 2011. 5. Gideon N. Levy, Ralf Schindel, and J.P. Kruth, “Rapid manufacturing and rapid tooling with layer manufacturing (LM) technologies: State of the art and future perspectives,” CIRP Annals - Manufacturing Technology, vol. 52, no.2, pp.589-609, 2003. 6. C.P. de Sampaio, R.M. de O. Spinosa, J. Vicentin, D.Y. Tsukahara, J.C. da Silva, S.L.S. Borghi, and F. Rostirolla, “3D printing in graphic design education: Educational experiences using fused deposition modeling (FDM) in a Brazilian university,” In High Value Manufacturing – Bártolo et al. (eds. ), pp.25-30, 2014. 7. R.M. Raymond, T.B. Joseph and M.D. Aaron, “Hybrid deposition manufacturing: design strategies for multimaterial mechanisms via three- dimensional printing and material deposition,” Journal of Mechanisms and Robotics, vol. 7, pp. 1-10, 2015. 13. H.S. Park and N.H. Tran, “A decision support system for selecting additive manufacturing technologies,” Proceedings of the 2017 International Conference on Information System and Data Mining, pp. 151-155. 14. H. Chen, X. Yang, L. Chen, Y. Wang, and Y. Sun, “Application of FDM three-dimensional printing technology in the digital manufacture of custom edentulous mandible trays,” Scientific Reports, pp. 1-6, 2016. 16. L. M. Galantucci, I. Bodi, J. Kacani, and F. Lavecchia, “Analysis of dimensional performance for a 3D open-source printer based on fused deposition modeling technique,” Procedia CIRP, vol. 28, pp. 82 – 87, 2015. 17. S.H. Kochesfahani, “Improving PLA-based material for FDM 3D-printers using minerals (principles and method development),” In SPE ANTEC, Indianapolis, pp. 1598–1614, May 2016. 18. H.S. Park and N.H. Tran, “Computer aided process planning for 3D printing,” Journal of the Korean Society of Manufacturing Technology Engineers, vol. 24, no. 2, pp.148-154, 2015. Abstract: Transportation is the engine of growth and the bedrock to the rapid development of every country or economy. In Mysore automobile has various impacts on people’s lifestyle, on the other hands motor vehicles are cause to many problems in city like spaces for parking requirement and road traffic congestion. Lack of enough space in urban area has caused urban planners face challenges for vehicular problems management. While local government in Mysore has made efforts to solve vehicle parking problem in the old core of city, the absence of appropriate vehicle parking facilities has stroked up unexpected levels of parking demand. This paper highlights the parking problems in the central business district and proposes justified measures and strategies for meeting the traffic congestion challenges in central business district of Mysore city. Keywords: Central Core of City, Mysore city, Vehicle Parking, Vehicle Traffic Congestion. Abstract: Skin diseases are the most common health problems in worldwide. Diagnosis of the skin disease depends on the extraction of the abnormal skin region. In this paper, Segmentation techniques to extract the skin lesion regions are proposed and their results are compared based on the statistical and texture properties. The acquired skin images are preprocessed by median filter and segmented by Edge-based segmentation, Morphological segmentation and K-means clustering techniques. The statistical features mean and standard deviation and the texture features contrast and energy are calculated for all the segmented skin lesion images. The performance of the three segmentation techniques are compared and found that the K-Means algorithm yields better results without any over and under segmentation. 5. Ashwini C. Bolkote, M. B. Tadwalkar,” Analysis of Different Psoriasis Skin Images” IJETT ISSN: 2350 – 0808 | April 2015 | Volume 2 | Issue 1 | 215. 6. Nishadevi.R, Gunavathi.C,” Segmentation and Risk Identification of Melanoma Skin Lesions Using Boundary Tracing Algorithm”Volume 3 Issue IV, April 2015. 8. (6): 648-652, 2010 ISSN 1549-3636 © 2010 Science Publications. 9. Damanpreet Kaur, Prabhneet Sandhu. “Human Skin Texture Analysis using Image Processing Techniques” International Journal of Science and Research (IJSR), India Online ISSN: 2319-7064. 11. H. Muller et al.,A Review of Content-Based Image Retrieval Systems in Medical Applications: Clinical Benefits and Future Directions, Int‟l J. Medical Informatics,vol. 73, no. 1, 2004, pp. 123. 12. Simona Banu, Gheorghe Toacse, Gabriel Danciu.”Objective Erythema Assessment of PsoriasisLesions for Psoriasis Area and Severity Index (PASI) Evaluation” International Conference and Exposition on Electrical and Power Engineering (EPE 2014), 16-18 October, Iasi, Romania. 13. Bhavini J.Samajpati and Sheshang D. Degadwala. “Hybrid Approach for Apple Fruit Diseases Detection and Classification Using Random Forest Classifier”. International Conference on Communication and Signal Processing, April 6-8, 2016, India. 14. Shiv Ram Dubey , Pushkar Dixit , Nishant Singh, Jay Prakash Gupta. ” Infected Fruit Part Detection using K-Means Clustering Segmentation Technique”. International Journal of Artificial Intelligence and Interactive Multimedia, Vol. 2, N0. 2. 16. N.S.Nithya , Dr.K.Duraiswamy , P.Gomathy , “A Survey on Clustering Techniques in Medical Diagnosis”. International Journal of Computer Science Trends and Technology (IJCST) – Volume1 Issue2, Nov-Dec 2013. 18. Ms. Kiran R. Gavhale, Prof. Ujwalla Gawande, Mr. Kamal O. Hajari. “Unhealthy Region of Citrus Leaf Detection Using Image Processing Techniques”. 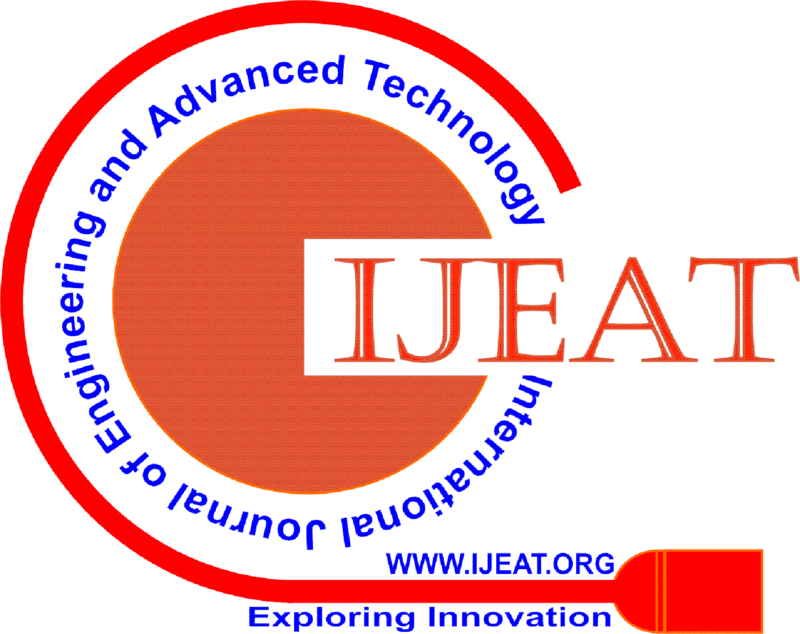 International Conference for Convergence of Technology – 2014.19. Zhiwei Jiang, Min Yao, Wei Jiang. “Skin Detection Using Color, Texture and Space Information”. Fourth International Conference on Fuzzy Systems and Knowledge Discovery (FSKD 2007).Vol. 21. 20. Harpreet Kaur, Aashdeep Singh” A Review on Automatic Diagnosis of Skin Lesion Based on the ABCD Rule & Thresholding Method”. International Journal of Advanced Research in Computer Science and Software Engineering(IJARCSSE). Volume 5, Issue 5, May 2015. 21. Ridhuna Rajan Nair , Swapnal Subhash Adsul , Namrata Vitthal Khabale , Vrushali Sanjay Kawade” Analysis And Detection of Infected Fruit Part Using Improved k-means Clustering and Segmentation Techniques”. Innovation in engineering science and technology (NCIEST-2015). Jan 1, 2016. Abstract: Recognize the human face emotions by computer is an interesting and challenging problem. Face recognition is used in security system effectively compared to other biometric such as fingerprint or iris recognition systems. Face emotion recognition is one of the crucial roles in face recognition system. It is used to recognize the muscle behaviors of the face. The goal of the proposed work is to build an emotion recognition system. It includes face detection, non-skin region extraction and morphological processing finally, emotion recognition. In this article, it begins with frame based detection. The image quality is analyzed. Face location is detected using viola-jones algorithm. Extract non-skin region, Morphological operations are applied to the extracted image to extract the facial feature for recognition of facial emotions. The experiment has shown that the proposed strategy is effective. Keywords: Image Quality Metrics, Face Detection, Segmentation, Morphological Processing, Emotion Recognition, Mat lab. 1. Punith Kumar M B And Dr. P.S. Puttaswamy, "Video to Frame Conversion of TV News Video By Using Mat Lab", International Journal of Advance Research in Science And Engineering, IJARSE, vol. No.3, issue no.3, march 2014 issn-2319-8354(e) 95. 7. Prasad M and Ajit Danti, "Classification of Human Facial Expression based on Mouth Feature using SUSAN Edge Operator ", International Journal of Advanced Research in Computer Science and Software Engineering, Volume 4, Issue 12, December 2014 ISSN: 2277 128X. 8. L. Torres, L. Lorente and J. Vilà, “Face Recognition Using Self-Eigenfaces”, Proceedings of the International Syposium on Image/Video Communications Over Fixed and Mobile Networks, Rabat, Morocco, pp. 44-47, April 2000. 9. Thuseethan.S and Kuhanesan.S, " Eigenface Based Recognition of Emotion Variant Faces", Computer Engineering and Intelligent Systems www.iiste.org ISSN 2222-1719 (Paper) ISSN 2222-2863 (Online) Vol.5, No.7, 2014. 10. Shwetank Arya, Neeraj Pratap, Karamjit Bhatia, " Future of Face Recognition: A Review", ELSVIER, Procedia Computer Science 58 (2015) 578 – 585. Abstract: Nowadays for running the domestic electric appliances like lamp, Motor and Air Conditioner, one of the most commonly used energy source is Electric energy. This is the reason that electric energy has become quite important in the daily life of people. In Pakistan, WAPDA (Water and Power Development Authority) is the main company whose sole purpose is the generation and distribution of electrical energy throughout the country and the consumer will have to pay according to the use of electrical energy. There are other companies that also generate electrical energy and distribute it to some of the area like K-electric and IPPS. So, a consumer knows how much energy has been consumed by the domestic electrical appliances when an employee of WAPDA checks the energy meter once a month and charged according to the units consumed in a month. In such a manner, a consumer does not get any information that how much energy has been consumed and he will have to pay a large amount of bill as he is unaware of his energy consumption. This way he is unable to manage his load according to his requirements. In this project, we are going to design a prototype of Three Phase smart energy meter. In order to make a conventional energy meter smart we are going to interface a microcontroller and GSM module with the energy meter. The purpose of microcontroller is that through this we are going to measure current and voltage for all the three phases and from these readings power will be calculated because we need to know the consumption before its management. For each phase, a user can set a predefined value of load, whenever this limit exceeds the user will get a message for that phase that the “system is overload”. This will inform him about his load and after that he will manage his load accordingly. So, our designed prototype has got two advantages, first one is that user can set a threshold value of energy and the other one is that consumer will be informed whenever the threshold value of energy is exceeded. This will be beneficial for the user and also for the electric energy providing company. The meter will be trip on high usage of energy and WAPDA will be informed whenever there is short circuit. So, this can also provide safety for the domestic users. In the designed project, we have proposed different ways of reclosing the relay for each and every Phase as we have three Phases. User can reclose the first Phase just by pressing a touch button while the second phase will reclose automatically after a delay of one minute. A user can change this delay. The third Phase will reclose after a delay of two minutes in a condition that the user has managed his load otherwise it will remain open. Keywords: Energy Meter, GSM modem, Arduino Microcontroller, Smart Grid. 1. Rahman, Masudur, M. Ohidul Islam, and S.Salakin. (2015). “Arduino and GSM Based Smart Energy Meter for Advanced Metering and Billing System.” 2nd Int‟l Conf. on Electrical Engineering and Information & Communication Technology (ICEEICT), Jahangimagar University, Dhaka 1342, Bangladesh, 2015, p-p 1-6. 2. Bharath, P., N. Ananth, S. Vijetha, and Prakash K V Jyothi. (2008). “Wireless Automated Digital Energy Meter.” IEEE International Conference on Sustainable Energy Technologies, (ICSET), India, 2008, p-p 564–67. 3. Ashna, K., and Sudhish N. George. (2013). “GSM Based Automatic Energy Meter Reading System with Instant Billing.” Proceedings - 2013 IEEE International Multi Conference on Automation, Computing, Control, Communication and Compressed Sensing, iMac4s, National Institute of Technology, Calicut, India, 2013, p-p 65–71. 4. Tan, H.G.R., C.H.R. Lee, and V.H. Mok. (2007), “Automatic Power Meter Reading System Using GSM Network.” 2007 International Power Engineering Conference (IPEC), Singapore, 2007, p-p 465–469. 5. Electricity tariff schedule, Retrieved on February 18, 2016, fromhttps://www.tnb.com.my/assets/files/tariff_rate_final_01.jan.2014. 6. Arif, A., Al-Hussain, M., Al-Mutairi, N., Al-Ammar, E., Khan, Y., & Malik, N. (2013). “Experimental Study and Design of Smart Energy Meter for the Smart Grid.” 2013 International Renewable and Sustainable Energy Conference (IRSEC), King Saud University, Riyadh, Saudi Arabia, 2013, p-p 515–520. 9. J. L. Carr, "Recent developments in electricity meters, with particular reference to those for special purposes," in Journal of the Institution of Electrical Engineers, vol. 67, no. 391, pp. 859-880, Apr. 1929. 10. M. R. Hossain, A. M. Thanand A. B. M. Shawkat Ali, "Evolution of Smart grid and some pertinent issues," in 20th Australasian Universities Power Engineering Conference (AUPEC), 2010, pp.1-6. 12. L. O. AlAbdulkarim and Z. Lukszo, ―Smart Metering for the future energy systems in the Netherlands, in Fourth International Conference on Critical Infrastructures, 2009, pp. 1–7. 13. P. K. Bhowmik, A. Paul, "Remote detection of illegal electricity usage employing smart energy meter - A current based technique," in Innovative Smart Grid Technologies, India, 2011, pp. 391-395. 14. F. Livgard, "Electricity customers' attitudes towards Smart Metering," in IEEE International Symposium on Industrial Electronics (ISIE), July. 2010, pp. 2519-2523. 16. J. Stragier, L. Hauttekeete, L. De Marez, "Introducing Smart grids in residential contexts: Consumers' perception of Smart household appliances," in IEEE Conference on Innovative Technologies for an Efficient and Reliable Electricity Supply (CITRES), Sept. 2010, pp.135-142. 17. Benzi, N. Anglani, E. Bassi, and L. Frosini, ―Electricity Smart Meters Interfacing the Households, IEEE Transactions on Industrial Electronics, vol. 58, no. 10, Oct. 2011, pp. 4487–4494. 18. J. M. Bohli, C. Sorge, and O. Ugus, ―A Privacy Model for Smart Metering, in IEEE International Conference on Communications Workshops (ICC), 2010, pp. 1–5. 19. L. O. AlAbdulkarim and Z. Lukszo, ―Smart Metering for the future energy systems in the Netherlands, in Fourth International Conference on Critical Infrastructures, 2009, pp. 1–7. 20. S. Ahmad, ―Smart Metering and home automation solutions for the next decade, in International Conference on Emerging Trends in Networks and Computer Communications (ETNCC), 2011, pp. 200–204. 21. D. Y. R. Nagesh, J. V. V. Krishna and S. S. Tulasiram, ―A Real-Time Architecture for Smart Energy Management, in Innovative Smart Grid Technologies (ISGT), Jan. 2010, pp. 1-4. 22. Deconinck, B. Delvaux, K. De Craemer, Z. Qiu and R. Belmans, ―Smart Meters from the angles of consumer protection and public service obligations, in Intelligent System Application to Power Systems (ISAP), 2011, pp.1-6. Abstract: The historic city center is the most important node in the city. It is the place which carries the original character of the city no matter how modern it become. There are many problems that face the heritage of the city center, which cause huge losses in city character. Cairo is one of the most important examples of historic city centers which worldwide organizations like UNISCO has put programs to protect and preserve its heritage. In this paper we discuss how to study the historic center of the city and how to define its characteristics, and factors affecting them. Then we study how to preserve heritage in historic city centers and to stop destroying it. 7. Amani Elsaied Abdulrahman Ahmed Al-Rayes, Urban Reconstruction as a Pillar of Sustainability with Special Reference to Urban Heritage Areas, PhD Thesis, Cairo University, 2010. 8. Foundations and standards for the cultural coordination of the buildings and heritage areas of the high value approved by the Higher Council for Urban Planning and Development in accordance with Act No. 119 and its implementing regulations, 2008. Abstract: In this research work, simulation based survey has been made to study the strengths and weaknesses of existing algorithms that motivated for the design of energy efficient clustering in MANET. Neighbour Recognising Protocol (NRP) has been designed to help the nodes to probe their immediate neighbours. Topology adaptive distributed clustering protocol (TADCP) has been proposed, that uses the node mobility and its available battery power for calculating the node weights. A node having the highest weight among its immediate neighbours declares itself as the volunteer cluster head. As the current head consumes its battery power beyond a threshold, non-volunteer cluster heads are selected. The algorithm aims to utilise the battery power in a fairly distributed manner so that the total network life time is enhanced. Validation for the base protocol NRP and algorithm TADCP are made through simulation by using the MATLAB. Each of the proposed work is evaluated separately to analyze their performances and compared with the competent results. 1. M. R. Garey and D. S. Johnson. Computers and Intractability: A guide to the theory of NP-completeness. Freeman, San Francisco, CA, 1979. 2. S Basagni, M Mastrogiovanni, and A Panconesi. Localized protocols for ad hoc clustering and backbone formation: A performance comparison. IEEE Transactions on Parallel and Distributed System, 17(4):292–306, 2006. 3. B. Bollbas. Random Graphs. Academic Press, 1985. 4. E. Perkins. Ad Hoc Networking. Addison Wesley, 2000. 5. C. C. Chiang, H.K. Wu, W.Liu, and M. Gerla. Routing in clustered multihop, mobile wireless networks with fading channel. In Proceedings of IEEE Singapore International Conference on Networks SICON’ 97, pages 197–212, 1997. Abstract: OFDM is a system in which information stream at high rates are separated into many low information streams for synchronous transmission of information in a channel. It is one of the powerful methods utilized for fast transmission of information over a correspondence channel. It is a modulation method. The primary constraint of OFDM system is high Peak-to-Average Power Ratio (PAPR). So keeping in mind the end goal to accomplish low complexity PAPR, there is a need to apply a successful method on these systems. In this research paper, a hybrid approach is connected for the lessening of PAPR in OFDM systems. The techniques connected are Tone Reservation-clipping based and Partial Transmit Sequence. Keywords: Peak-to-Average Power Ratio, Partial Transmit Sequence, OFDM system, Tone Reservation-clipping. 1. “An Investigation of Peak-to-Average Power Reduction in MIMO-OFDM Systems”. Wang Yi Gulinfeng Belkinge Institute of Technology. October 2009. 2. Han, Seung Hee, and Jae Hong Lee. "An overview of peak-to-average power ratio reduction techniques for multicarrier transmission." Wireless Communications, IEEE 12.2 (2005): 56-65. 4. Li, Xiaodong, and Leonard J. Cimini Jr. "Effects of clipping and filtering on the performance of OFDM." Vehicular Technology Conference,1997, IEEE 47th. Vol. 3. IEEE, 1997. 5. Zhu, Xiaodong, et al. "Simplified approach to optimized iterative clipping and filtering for PAPR reduction of OFDM signals." Communications, IEEE Transactions on 61.5 (2013): 1891-1901. 6. Wang, Y. C., and Z. Q. Luo. "Optimized iterative clipping and filtering for PAPR reduction of OFDM signals." Communications, IEEE Transactions on 59.1 (2011): 33-37. 7. Cuteanu, Victor, and Alexandru Isar. "PAPR reduction of OFDM signals using selective mapping and clipping hybrid scheme." Signal Processing Conference (EUSIPCO), 2012 Proceedings of the 20th European. IEEE, 2012. 8. Cuteanu, Eugen Victor, and Alexandru Isar.’PAPR Reduction of OFDM Signals using Partial Transmit Sequence and Clipping Hybrid Scheme’.AICT 2012, The Eighth Advanced International Conference on Telecommunications.2012. 9. Lee, Byung Moo, Youngok Kim, and Rui JP de Figueiredo. "Performance analysis of the clipping scheme with SLM technique for PAPR reduction of OFDM signals in fading channels." Wireless Personal Communications 63.2 (2012): 331-344. 10. K.Yang and S. Chang, “Peak-to-average power control inOFDM using standard arrays of linear block codes,” IEEE Communications Letters, vol. 7, no. 4, pp. 174–176, Apr. 2003. 11. T. Jiang and G. X. Zhu, “Complement block coding for reduction in peak-to-average power ratio of OFDMsignals,” IEEE Communications Magazine, vol. 43, no. 9, pp. S17–S22, Sept. 2005. 12. H. Nikookar and K. S. Lidsheim, “Random phase updating algorithm for OFDM transmission with low PAPR,” IEEE Trans. Broadcasting,vol. 48, no. 2, pp. 123–128, Jun. 2002. 14. S. H. Muller and J. B. Huber, “OFDM with reduced peak-to-average power ratio by optimum combination of partial transmit sequences,” IEE Electronics Letters, vol. 33, no. 5, pp. 36–69, Feb. 1997. 15. J. Tellado, “Peak to Average Power Ratio Reduction for Multicarrier Modulation,” PhD thesis, University of Stanford, Stanford, 1999. 16. Yong Soo Cho, Jaekwon Kim,Won Young Yang, Chung G.Kang,“MIMOOFDM WIRELESS COMMUNICATIONS WITH MATLAB”, Copyright:2010. 17. Ramjee Prasad, “OFDM for Wireless Communication System”, Arc tech House, 2004. 18. Kangwoo Park and In-Cheol Park, “Low-Complexity Tone Reservation for PAPR Reduction in OFDM Communication Systems”, IEEE Transactions on Very Large Scale Integration (VLSI) Systems, Vol.20, No.10, October 2012. 19. S. Janaaththanan, C. Kasparis, and B. Evans, “A gradient based algorithm for PAPR reduction of OFDM using tone reservation technique,” in Vehicular Technology Conference, 2008. VTC Spring 2008. IEEE, May 2008, pp. 2977–2980. 20. Mohamad Mroué, Amor Nafkha and Jacques Palicot.’’An Innovative Low Complexity PAPR Reduction TR-based Technique for DVB-T2 System’’. International Congress on Ultra-Modern Telecommunications and Control Systems and Workshops (ICUMT).2010. Abstract: Image compression aims to reduce the data size of images and to store or transmit these images efficiently. Therefore, it offers the promise of image/video transmission under limited bandwidth. The past few decades have witnessed an extensive body of literature on both lossless and lossy image compression. This paper presents a literature review of different number of lossy and lossless based image compression technique that have been developed by researchers to perform various application which are based on the various types of images such as medical images, standard images, or with all digital images. This review helps in analyzing the existing lossy and lossless based image compression technique and it discuss the image quality, image compression ratio, image compression rate, PSNR value etc. 1. Shruthi K N, Shashank B M, Y.SaiKrishna Saketh, Dr. Prasantha .H.S and Dr. S.Sandya “Comparison Analysis Of A Biomedical Image For Compression Using Various Transform Coding Techniques”, IEEE, 2016, Pp 297-303. 2. V. Sunil Kumar and M. Indra Sena Reddy “Image Compression Techniques by using Wavelet Transform”, Journal of Information Engineering and Applications, 2012, Pp 35-40. 3. Maneesha Gupta and Dr.Amit Kumar Garg “Analysis Of Image Compression Algorithm Using DCT”, IJERA, 2012, Pp 515-521. 4. Kamrul Hasan Talukder and Koichi Harada “Haar Wavelet Based Approach for Image Compression and Quality Assessment of Compressed Image”, AJAM, 2010, Pp 1-8. 5. Kiran Bindu, Anita Ganpati and Aman Kumar Sharma “A COMPARATIVE STUDY OF IMAGE COMPRESSIONALGORITHMS”, International Journal of Research in Computer Science, 2012, Pp 37-42. 6. Miguel Hernandez-Cabronero, Victor Sanchez, Michael W. Marcellin, Joan Serra-Sagrista “A distortion metric for the lossy compression of DNA microarray images” 2013 Data Compression Conference. 7. Seyun Kim, Nam Ik Cho “Hierarchical Prediction and Context Adaptive Coding for Lossless Color Image Compression” I EEE TRANSACTIONS ON IMAGE PROCESSING, VOL. 23, NO. 1, JANUARY 2014. Pp 445-449. 8. Seyun Kim, Nam Ik Cho “Lossless Compression of Color Filter Array Images by Hierarchical Prediction and Context Modeling” IEEE TRANSACTIONS ON CIRCUITS AND SYSTEMS FOR VIDEO TECHNOLOGY, VOL. 24, NO. 6, JUNE 2014. Pp 1040-1046. 9. Mai Xu, Shengxi Li, Jianhua Lu, Wenwu Zhu “Compressibility Constrained Sparse Representation With Learnt Dictionary for Low Bit-Rate Image Compression” IEEE Transactions On Circuits And Systems For Video Technology, VOL. 24, NO. 10, OCTOBER 2014. Pp 1743-1757. 10. Vikrant Singh Thakur, Kavita Thakur “Design And Implementation Of A Highly Efficient Gray Image Compression Codec Using Fuzzy Based Soft Hybrid Jpeg Standard” 2014 International Conference on Electronic Systems, Signal Processing and Computing Technologies. Pp 484-489. 11. Chandan Singh Rawat and Sukadev Meher “A Hybrid Image Compression Scheme using DCT and Fractal Image Compression”, International Arab Journal of Information Technology, 2013, Pp 553-562. 12. Navpreet Saroya and Prabhpreet Kaur “Analysis of IMAGE COMPRESSION Algorithm Using DCT and DWT Transforms”, International Journal of Advanced Research in Computer Science and Software Engineering, 2014, Pp 897-900. 13. S.M.Ramesh and Dr.A.Shanmugam “Medical Image Compression using WaveletDecomposition for Prediction Method”, IJCSIS, 2010, Pp 262-265. 14. Fouzi Douak, Redha Benzid and Nabil Benoudjit “Color image compression algorithm based on the DCT transform combined to an adaptive block scanning”, Elsevier, 2011, Pp 16-26. 15. Azam Karami, MehranYazdiand Grégoire Mercier “Compression of Hyperspectral Images Using Discerete Wavelet Transform and Tucker Decomposition”, IEEE, 2012, Pp 444-450. 16. MFerni Ukrit, G.R.Suresh “Effective Lossless Compressionjor Medical Image Sequences Using Composite Algorithm” 2013 International Conference on Circuits, Power and Computing Technologies. Pp 1122-1126. 17. Krishan Gupta, Dr Mukesh Sharma, Neha Baweja “THREE DIFFERENT KG VERSION FOR IMAGE COMPRESSION” 2014. Pp 831-837. Abstract: Hybrid separation process which basically pairs two processes together plays an important role in separation of azeotropic or constant boiling mixtures. A hybrid system can be defined as a process system consisting of different unit operations that are interlinked and optimized to achieve a predefined task. Therefore, if distillation is the basic separation system, a hybrid distillation system consists of a distillation column that is interlinked with another unit operation to achieve a better (cheaper, easier, enhanced) separation. A Hybrid separation process basically deeds the advantages of pervaporation and distillation, while the negative aspects are minimized. This also minimizes energy expenses. This review focusing to minimize 50-60 % energy saving in chemical industry. This review focus on the energy savings in industry using hybrid system (distillation and Pervaporation combination) for separation of isopropyl alcohol and water azeotrope. 2. Supaporn Jewprasat, Theerawat Suratago, and Muenduen Phisalaphong, “Pervaporation of Ethanol/Water Mixtures using Bacterial Cellulose-Poly (Vinyl Alcohol) Membrane” published in International Journal of Chemical, Environmental & Biological Sciences (IJCEBS) Volume 3, Issue 2 (2015). 3. SohailRasool Lone, Syed Akhlaq Ahmad and Vimal Kumar, “Modeling and Simulation of a Hybrid Process (Pervaporation+Distillation) using MATLAB” published in 1000234J Chem Eng Process Technol (2015). 4. John H. Bermudez Jaimes, Mario E. T. Alvarez, Javier Villarroel Rojas,Rubens Maciel Filho “Pervaporation: Promissory Method for the Bioethanol Separation of Fermentation” publish in The Italian Association of Chemical Engineering VOL. 38, (2014). 5. Clément Servel, Denis Roizard, Eric Favre, and Dominique Horbez“Improved “Energy Efficiency of a Hybrid Pervaporation/Distillation Process for Acetic Acid Production: Identification of Target Membrane Performances by Simulation” publish in Industrial & Engineering Chemistry Research (2014). 6. Nóra Valentínyi / Péter Mizsey “Comparison of pervaporation models with simulation of hybrid separation processes” publish in research article received 31 May 2013; accepted after revision (17 October 2013). 7. Nwe Nwe Win1, P. Bösch2, A. Friedl2, “Separarion Performance Using Model Parameters Derived From Experimental Data” published in May 15, (2012). 8. Korbinian Kraemer, Andreas Harwardt, Rob Bronneberg, Wolfgang Marquardt, “Separation of butanol from acetone–butanol–ethanol fermentation by a hybrid extraction–distillation process” published in journal of Computers and Chemical Engineering 35 (2011) . 9. A. K. Frolkova and V. M. Raeva, “Bioethanol Dehydration: State of the Art” published in theoretical foundations of chemical engineering Vol. 44 No. 4 (2010). 11. William L. Luyben “Control of a Column/Pervaporation Process for Separating the Ethanol/Water Azeotrope” publish in Ind. Eng. Chem. Res. 3484 (2009). 13. Atilla Evcin, Osman Tutkun, “Pervaporation Separation Of Ethanol-Water Mixtures By Zeolite-Filled Polymeric Membranes” published in journal of Ceramics – Silikáty 53 (4) 250-253 (2009). 14. Shin-LingWee, Ching-Thian Tye, Subhash Bhatia, “Membrane separation process—Pervaporation through zeolite membrane” published on Separation and Purification Technology 63 (2008) . 15. Carsten Buchaly, Peter Kreis , Andrzej G´orak, “Hybrid separation processes—Combination of reactive distillation with membrane separation” published in journal of Chemical Engineering and Processing 46 (2007) 790–799. Abstract: Sensing a given particular zone is one of the main goals of wireless sensor networks. This consists of deploying the sensor nodes in order to detect any event occurring in a particular zone of interest and gives this information to the sink. It should also be energy efficient so as to maximize the network lifetime. The lifetime maximization in sensors network with target coverage can be considered as: To divide the sensors in set covers in such a way that each set cover can cover all the targets at a particular instant of time. We have to find maximal number of set covers which becomes active successively. This arrangement can maximize the lifetime of the network. In this paper, I have proposed an efficient SDSG algorithm that produces maximum number of disjoint sets of the sensors, such that each sensor set is a set-cover. I have also compared proposed algorithm with Simple Greedy and Greedy MSSC algorithm. 1. Babacar Diop, Dame Diongue, and Ousmane Thiare, “Managing target coverage lifetime in wireless sensor networks with greedy set cover,” In Multimedia, Computer Graphics and Broadcasting (MulGraB), 2014 6th International Conference on, pages 17–20. IEEE, 2014. 2. Jun Li, Baihai Zhang, Lingguo Cui, and Senchun Chai, “ An extended virtual forcebased approach to distributed self-deployment in mobile sensor networks,” International Journal of Distributed Sensor Networks, 2012, 2012. 3. Ines Khoufi, Pascale Minet, Anis Laouiti, and Saoucene Mahfoudh, “Survey of deployment algorithms in wireless sensor networks: coverage and connectivity issues and challenges. International Journal of Autonomous and Adaptive Communications Systems (IJAACS), page 24, 2014. 4. Milan Erdelj, Tahiry Razafindralambo, and David Simplot-Ryl, “Covering points of interest with mobile sensors,” Parallel and Distributed Systems, IEEE Transactions on, 24(1):32–43, 2013. 5. K. Shahzad, K. Fazlullah, and S. Afzal, “Delay and throughput performance improvement in wireless sensor and actor networks,” in 5th IEEE symposium on information technology:towards new smart world, pages 1-5,2015. 6. Milan Erdelj, Valeria Loscri, Enrico Natalizio, and Tahiry Razafindralambo, “Multiple point of interest discovery and coverage with mobile wireless sensors,”Ad Hoc Networks, 11(8):2288–2300, 2013. 7. Jiming Chen, Shijian Li, and Youxian Sun, “Novel deployment schemes for mobile sensor networks,” Sensors, 7(11):2907–2919, 2007. 8. Saoucene Mahfoudh, Ines Khoufi, Pascale Minet, and Anis Laouiti, “ Relocation of mobile wireless sensors in the presence of obstacles,” In Telecommunications (ICT), 2013 20th International Conference on, pages 1–5. IEEE, 2013. 9. Guang Tan, Stephen A Jarvis, and A-M Kermarrec, “Connectivity-guaranteed and obstacle-adaptive deployment schemes for mobile sensor networks,” Mobile Computing, IEEE Transactions on, 8(6):836–848, 2009. 10. Deying Li and Hai Liu, “Sensor coverage in wireless sensor networks,” International Journal of Sensor Networks, 2, 2009. Abstract: Internets of Things (IoT) devices are rapidly becoming ubiquitous while IoT services are becoming pervasive. Their success has not gone unnoticed and the number of threats and attacks against IoT devices and services are on the increase as well. Cyber-attacks are not new to IoT, but as IoT will be deeply interwoven in our lives and societies, it is becoming necessary to step up and take cyber defence seriously. Hence, there is a real need to secure IoT, which has consequently resulted in a need to comprehensively understand the threats and attacks on IoT infrastructure. This paper is an attempt to classify threat types, besides analyze and characterize intruders and attacks facing IoT devices and services. Keywords: Internet of Things, Cyber-attack, Security threats. 1. L. Atzori, A. Iera, and G. Morabito, “The internet of things: A survey,” Computer networks, vol. 54, no. 15, pp. 2787–2805, 2010. 2. S. Andreev and Y. Koucheryavy, “Internet of things, smart spaces, and next generation networking,” Springer, LNCS, vol. 7469, p. 464, 2012. 3. J. S. Kumar and D. R. Patel, “Asurvey on internet of things: Security and privacy issues,” International Journal of Computer Applications, vol. 90, no. 11, pp. 20–26, March 2014, published by Foundation of Computer Science, New York, USA. 4. A. Stango, N. R. Prasad, and D. M. Kyriazanos, “A threat analysis methodology for security evaluation and enhancement planning,” in Emerging Security Information, Systems and Technologies, 2009. SECURWARE’09. Third International Conference on. IEEE, 2009, pp. 262–267. 5. D. Jiang and C. ShiWei, “A study of information security for m2m of iot,” in Advanced Computer Theory and Engineering (ICACTE), 2010 3rd International Conference on, vol. 3. IEEE, 2010, pp. V3–576. 6. B. Schneier, Secrets and lies: digital security in a networked world. John Wiley & Sons, 2011. 7. J. M. Kizza, Guide to Computer Network Security. Springer, 2013. 8. M. Taneja, “An analytics framework to detect compromised iot devices using mobility behavior,” in ICT Convergence (ICTC), 2013 International Conference on. IEEE, 2013, pp. 38–43. 9. G. M. Koien and V. A. Oleshchuk, Aspects of Personal Privacy in Communications-Problems, Technology and Solutions. River Publishers, 2013. 10. N. R. Prasad, “Threat model framework and methodology for personal networks (pns),” in Communication Systems Software and Middleware, 2007. COMSWARE 2007. 2nd International Conference on. IEEE, 2007, pp. 1–6. 11. O. Vermesan, P. Friess, P. Guillemin, S. Gusmeroli, H. Sundmaeker, A. Bassi, I. S. Jubert, M. Mazura, M. Harrison, M. Eisenhauer et al. “Internet of things strategic research roadmap,” Internet of Things-Global Technological and Societal Trends, pp. 9–52, 2011. 12. S. De, P. Barnaghi, M. Bauer, and S. Meissner, “Service modelling for the internet of things,” in Computer Science and Information Systems (FedCSIS), 2011 Federated Conference on. IEEE, 2011, pp. 949–955. 13. G. Xiao, J. Guo, L. Xu, and Z. Gong, “User interoperability with heterogeneous iot devices through transformation,” 2014. 14. J. Gubbi, R. Buyya, S. Marusic, and M. Palaniswami, “Internet of things (iot): A vision, architectural elements, and future directions,” Future Generation Computer Systems, vol. 29, no. 7, pp. 1645–1660, 2013. 15. M. Zorzi, A. Gluhak, S. Lange, and A. Bassi, “From today’s intranet of things to a future internet of things: a wireless-and mobility-related view,” Wireless Communications, IEEE, vol. 17, no. 6, pp. 44–51, 2010. 16. C. Hongsong, F. Zhongchuan, and Z. Dongyan, “Security and trust research in m2m system,” in Vehicular Electronics and Safety (ICVES), 2011 IEEE International Conference on. IEEE, 2011, pp. 286–290. 17. I. Cha, Y. Shah, A. U. Schmidt, A. Leicher, and M. V. Meyerstein, “Trust in m2m communication,” Vehicular Technology Magazine, IEEE, vol. 4, no. 3, pp. 69–75, 2009. 18. J. Lopez, R. Roman, and C. Alcaraz, “Analysis of security threats, requirements, technologies and standards in wireless sensor networks,” 84 M. Abomhara and G. M. Køien in Foundations of Security Analysis and Design V. Springer, 2009, pp. 289–338. 19. R. Roman, J. Zhou, and J. Lopez, “On the features and challenges of security and privacy in distributed internet of things,” Computer Networks, vol. 57, no. 10, pp. 2266–2279, 2013. 20. Y. Cheng, M. Naslund, G. Selander, and E. Fogelstrom, “Privacy in machine-to-machine communications a state-of-the-art survey,” in Communication Systems (ICCS), 2012 IEEE International Conference on. IEEE, 2012, pp. 75–79. 21. M. Rudner, “Cyber-threats to critical national infrastructure: An intelligence challenge,” International Journal of Intelligence and Counter Intelligence, vol. 26, no. 3, pp. 453–481, 2013. 22. R. Kozik and M. Choras, “Current cyber security threats and challenges in critical infrastructures protection,” in Informatics and Applications (ICIA), 2013 Second International Conference on. IEEE, 2013, pp. 93–97. 23. P. N. Mahalle, N. R. Prasad, and R. Prasad, “Object classification based context management for identity management in internet of things,” International Journal of Computer Applications, vol. 63, no. 12, pp. 1–6, 2013. 24. A. Gluhak, S. Krco, M. Nati, D. Pfisterer, N. Mitton, and T. Razafindralambo, “A survey on facilities for experimental internet of things research,” Communications Magazine, IEEE, vol. 49, no. 11, pp. 58–67, 2011. 25. Y. Benazzouz, C. Munilla, O. Gunalp, M. Gallissot, and L. Gurgen, “Sharing user iot devices in the cloud,” in Internet of Things (WF-IoT), 2014 IEEE World Forum on. IEEE, 2014, pp. 373–374. 26. G. M. Køien, “Reflections on trust in devices: an informal survey of human trust in an internet-of-things context,” Wireless Personal Communications, vol. 61, no. 3, pp. 495–510, 2011. 27. D. Miorandi, S. Sicari, F. De Pellegrini, and I. Chlamtac, “Internet of things: Vision, applications and research challenges,” Ad Hoc Networks, vol. 10, no. 7, pp. 1497–1516, 2012. 28. M. Thoma, S. Meyer, K. Sperner, S. Meissner, and T. Braun, “On iot services: Survey, classification and enterprise integration,” in Green Computing and Communications (GreenCom), 2012 IEEE International Conference on. IEEE, 2012, pp. 257–260. 29. M. Abomhara and G. Koien, “Security and privacy in the internet of things: Current status and open issues,” in PRISMS 2014 The 2nd International Conference on Privacy and Security in Mobile Systems (PRISMS 2014), Aalborg, Denmark, May 2014. 30. D.Watts, “Security and vulnerability in electric power systems,” in 35thNorth American power symposium, vol. 2, 2003, pp. 559–566. 31. D. L. Pipkin, Information security. Prentice Hall PTR, 2000. Oriented Architectures. Springer, 2010, pp. 25–44. 33. D. G. Padmavathi, M. Shanmugapriya et al., “A survey of attacks, security mechanisms and challenges in wireless sensor networks,” arXivpreprint arXiv:0909.0576, 2009. 34. H. G. Brauch, “Concepts of security threats, challenges, vulnerabilities and risks,” in Coping with Global Environmental Change, Disasters and Security. Springer, 2011, pp. 61–106. 35. K. Dahbur, B. Mohammad, and A. B. Tarakji, “A survey of risks, threats and vulnerabilities in cloud computing,” in Proceedings of the 2011 International conference on intelligent semantic Web-services and applications. ACM, 2011, p. 12. 36. R. K. Rainer and C. G. Cegielski, Introduction to information systems: Enabling and transforming business. JohnWiley & Sons, 2010. 37. A. J. Duncan, S. Creese, and M. Goldsmith, “Insider attacks in cloud computing,” in Trust, Security and Privacy in Computing and Communications (TrustCom), 2012 IEEE 11th International Conference on. IEEE, 2012, pp. 857–862. 38. P. Baybutt, “Assessing risks from threats to process plants: Threat and vulnerability analysis,” Process Safety Progress, vol. 21, no. 4, pp. 269–275, 2002. 39. C. Tankard, “Advanced persistent threats and how to monitor and deter them,” Network security, vol. 2011, no. 8, pp. 16–19, 2011. 40. F. Li, A. Lai, and D. Ddl, “Evidence of advanced persistent threat: Acase study of malware for political espionage,” in Malicious and Unwanted Software (MALWARE), 2011 6th International Conference on. IEEE,2011, pp. 102–109. 41. S. Ansari, S. Rajeev, and H. Chandrashekar, “Packet sniffing: a brief introduction,” Potentials, IEEE, vol. 21, no. 5, pp. 17–19, 2002. 42. M. De Vivo, E. Carrasco, G. Isern, and G. O. de Vivo, “A review of port scanning techniques,” ACM SIGCOMM Computer Communication Review, vol. 29, no. 2, pp. 41–48, 1999. 43. I. Naumann and G. Hogben, “Privacy features of european eid card specifications,” Network Security, vol. 2008, no. 8, pp. 9–13, 2008. 44. C.Wilson, “Botnets, cybercrime, and cyberterrorism:Vulnerabilities and policy issues for congress.” DTIC Document, 2008. 45. A. Daneels and W. Salter, “What is scada,” in International Conference on Accelerator and Large Experimental Physics Control Systems, 1999, pp. 339–343. 46. A. Nicholson, S. Webber, S. Dyer, T. Patel, and H. Janicke, “Scada security in the light of cyber-warfare,” Computers & Security, vol. 31, no. 4, pp. 418–436, 2012. 47. V. M. Igure, S. A. Laughter, and R. D.Williams, “Security issues in scada networks,” Computers & Security, vol. 25, no. 7, pp. 498–506, 2006. 48. M. Kelleye, “Business Insider. The Stuxnet attack on Irans Nuclear Plant was Far more Dangerous Than Previously Thought,” http://www.businessinsider.com/stuxnet-was-far-more-dangerous-thanprevious- thought-2013-11/,2013, [Online; accessed 03-Sep-2014]. 49. B. Jung, I. Han, and S. Lee, “Security threats to internet: a Korean multi-industry investigation,” Information & Management, vol. 38, no. 8, pp. 487–498, 2001. 50. C. P. Mayer, “Security and privacy challenges in the internet of things,” Electronic Communications of the EASST, vol. 17, 2009. 51. A. R. Beresford, “Location privacy in ubiquitous computing,” Computer Laboratory, University of Cambridge, Tech. Rep, vol. 612,2005. 52. S. Pramanik, “Threat motivation,” in Emerging Technologies for a Smarter World (CEWIT), 2013 10th International Conference and Expo on. IEEE, 2013, pp. 1–5. 53. D. Dolev and A. C. Yao, “On the security of public key protocols,” Information Theory, IEEE Transactions on, vol. 29, no. 2, pp. 198–208,1983. 54. I. Cervesato, “The dolev-yao intruder is the most powerful attacker,” in 16th Annual Symposium on Logic in Computer ScienceLICS, vol. 1. Citeseer, 2001. 55. J. Sheldon, “State of the art: Attackers and targets in cyberspace,” Journal of Military and Strategic Studies, vol. 14, no. 2, 2012. 56. E. M. Archer, “Crossing the rubicon: Understanding cyber terrorism in the european context,” The European Legacy, no. ahead-of-print, pp. 1–16, 2014. 57. A. K. Al-Rawi, “Cyber warriors in the middle east: The case of the Syrian electronic army,” Public Relations Review, 2014. 58. D. Ball, “Chinas cyber warfare capabilities,” Security Challenges, vol. 7, no. 2, pp. 81–103, 2011. Abstract: The experimental friction factor and Nusselt number data for a laminar flow in a circular pipe having wire coil and wavy strip insertion are presented. Thermal boundary layer is the primary hindrance to the heat transfer. That is why to destroy it or at least to disturb it the insertions are used. The thermohydraulic phenomenon has been analyzed. The objective of this work is to find out the combined effect of wire coil and wavy strip on the heat transfer and whether it can enhance it. Nusselt number and friction factor are measured for different Prandtl number and Reynolds number. The findings of this work are useful in automobile and air-conditioning industries to reduce the size of the heat exchanger. 2. J.P. Solano, A. García, P.G. Vicente, A. Viedma, Flow field and heat transfer investigation in tubes of heat exchangers with motionless scrapers, Applied Thermal Engineering 31 (2011) 2013e2024. 5. Patil, A.G, 2000 “Laminar Flow Heat Transfer and Pressure Drop Characteristics of Power-Law Fluids Inside Tubes With Varying Width Twisted Tape Inserts”,Journal of Heat Transfer by ASME, Vol 122 pp.143-149. 8. Agarwal, S.K., Raja Rao, M., 1996, Heat transfer augmentation for the flow of a viscous liquid in circular tubes using twisted tape inserts, International Journal of Heat and Mass Transfer, Volume 39,No. 17, pp. 3547-3557. Abstract: Gender is a critical statistic characteristic of individuals. This paper provides a survey of automatic human gender identification using speech signal characteristics and classifiers. A review of approaches exploiting information from human speech presented. Here, highlights of selection of speech features, their processing and different classifiers used for this purpose are discussed. Based on the results discussed in the papers it can be stated as, accuracy of automatic gender identification system with any classifiers is better if speech dataset used for training and testing is taken/ recorded in the same environments. Pitch is the basic feature of speech which distinguishes between adult man and woman. Other features like MFCC, LPC, RASTA-PLP also used for automatic gender identification. Neural Network, Support Vector Machine (SVM), Random Forest etc. are used for automatic gender identification through speech signal. Till now, many challenges are still available here to identify gender with acceptable accuracy in real life environmental speech where noise is acoustically added with human speech. Keywords: Gender identification, MFCC, SVM. 3. R. Nisimura, A. Lee, H. Saruwatari, and K. Shikano, "Public speech-oriented guidance system with adult and child discrimination capability," Proc. ICASSP2004, vol. 4. H. Kim, K. Bae, H. Yoon, “Age and gender classification for a home-robot service” Proc. 16th IEEE International Symposium on Robot and Human Interactive Communication, pp. 122–126, 2007. 5. W. Li, D. J. Kim, C. H. Kim, and K. S. Hong, "Voice-Based Recognition System for Non-Semantics Information by Language and Gender" Electronic Commerce and Security (ISECS), 2010. 6. P. Nguyen, D. Tran, X. Huang, and D. Sharma, "Automatic classification of speaker characteristics" Communications and Electronics (ICCE), 2010. 8. M. H. Bahari, and H. V. Hamme, "Speaker age estimation and gender detection based on supervised non-negative matrix factorization" Biometric Measurements and Systems for Security and Medical Applications (BIOMS), 2011. 9. M. H. Sedaaghi, "A comparative study of gender and age classification in speech signals" Iranian Journal of Electrical & Electronic Engineering, 2009. 10. T. Bocklet, G. Stemmer, V. Zeissler, and E. Nöth, "Age and gender recognition based on multiple systems-early vs. late fusion" INTERSPEECH, 2010. 11. M. Feld, F. Burkhardt, and C. A. Müller, "Automatic speaker age and gender recognition in the car for tailoring dialog and mobile services" INTERSPEECH, 2010. 12. F. Metze, J. Ajmera, R. Englert, and U. Bub, "Comparison of four approaches to age and gender recognition for telephone applications" Acoustics, Speech and Signal Processing, 2007. 13. C. A. Müller, F. Wittig, and J. Baus, "Exploiting speech for recognizing elderly users to respond to their special needs" INTERSPEECH, 2003. 14. M. W. Lee, and K. C. Kwak. "Performance Comparison of Gender and Age Group Recognition for Human-Robot Interaction" International Journal of Advanced Computer Science & Applications, 2012. 15. F. Wittig, and C. Müller, "Implicit Feedback for User-Adaptive Systems by Analyzing the Users' Speech. ", 2003. 16. T. Bocklet, A. Maier, and E. Nöth, "Age determination of children in preschool and primary school age with GMM-based supervectors and support vector machines/regression" Text, Speech and Dialogue, 2008. 17. M. H. Bahari, and H. V. Hamme, "Speaker age estimation using Hidden Markov Model weight supervectors" Information Science, Signal Processing and their Applications (ISSPA), 2012. 18. S. Khanum and M. Sora, “Speech based Gender Identification using Feed Forward Neural Networks”, International Journal of Computer Applications (0975 – 8887), 201. 19. S. Sharma, A. Shukla and P. Mishra, “Speaker and Gender Identification on Indian Languages using Multilingual Speech ”, IJISET - International Journal of Innovative Science, Engineering & Technology, Vol. 1 Issue 4, June 2014. 20. G.S. Archana, M. Malleswari and N. Islam, “Gender Identification and Performance Analysis of Speech Signals”, Proceedings of 2015 Global Conference on Communication Technologies (GCCT 2015). 21. Md. S. Ali1, Md. S. Islam and Md. A. Hossain, “GENDER RECOGNITION SYSTEM USING SPEECH SIGNAL”, International Journal of Computer Science, Engineering and Information Technology (IJCSEIT), Vol.2, No.1, February 2012. 22. L. Feng, “Speaker Recognition, Informatics and Mathematical Modelling”, Technical University of Denmark, 2004. Abstract: There is high-risk factors involved in industries which use hazardous gases in large quantities for their various processes. People may not identify or monitor the leakage of these gases at a regular basis before it goes out of hand. There is a need for sensors to continuously monitor the leakages and alert the users on the possible hazard. This project gives the solution to reduce the risk factors in isolated areas having large gas installations by detecting and displaying the leakages on a continuous basis. Leakage of gas can occur at multiple points in the same installation. Hence, multiple sensors are interfaced to detect the leakage and transmit the signals to the base station located far away. Using microprocessors, multiple sensor values are received and processed. The processed data is encoded and transmitted to the base (using wired or wireless protocols) where another microprocessor decodes it and shows the respective sensor status. The system also gives an audio and visual warning when leakages are detected and the as the time taken to detect is very low due to high speed processing, the leakage situations are brought under control with minimum or no damage. This project gives an economical and efficient method to reduce leakage risk by using latest IoT technologies and monitoring anywhere in the web. Abstract: Welded steel tubes of advanced high strength category are considered as candidate material for replacing the drive shafts in automobiles. Seam welded Dual phase steel tubes of various grades were tested to analyze their strength and compatibility to replace drive shaft in light motor vehicles. The tensional fatigue life was found to be varying for specimens with varying test conditions. In all cases, failure was found to occur at the welded region of tubes in longitudinal direction followed by circumferential branching. Failure patterns of each specimen are closely observed under SEM. Fractographs showed clear indications of crack initiation and crack propagation. Energy Dispersive Spectrometry (EDS) analysis were conducted which indicated the impurity concentrations at crack region. Micro structural analysis and hardness measurements of various specimens were carried out along the weld section which clearly showed in homogeneity between base metal and the weld section. Grain size measurements were also done for weld region and base metal. Keywords:Welded, compatibility, (EDS), Energy, SEM. Abstract:In electric power system, finding optimal location and setting of Flexible AC Transmission System (FACTS) devices have been proved to be complex system and it’s under single contingency. This paper presents a new approach which is based on Improved Teaching Learning Based Optimization (ITLBO) and Weight Improved Partial Swarm Optimization (WIPSO) to find the optimal location and parameter setting of Unified Power Flow Controller (UPFC) and Static Var Compensator (SVC) to achieve optimal performance of power system network. The effectiveness of the proposed method is tested on IEEE 14-bus system .The results show that, based on ITLBO and WIPSO can significantly minimizing the Over Load Index and the Voltage Violations Index that can successfully achieve that proper setting and placement of FACTS devices. Keywords: Improved Teaching Learning Based Optimization (ITLBO); Weight Improvement of Particle Swarm Optimization (WIPSO); Static Var Compensator (SVC); Unified Power Flow Controller (UPFC); Line Overload Sensitivity Index (LOSI); Over Load Index (OLI), Voltage Violation Index (VVI). G. Hingorani, L. Gyugil, “Understanding Facts: Concepts and Technology of Flexible Ac Transmission System”, 2001, IEEE Press, New York. Ravindra, Chintalapudi V.Suresh, S.Sivanagaraju, C.C.Veera Reddy “Power system security enhancement with unified power flow controller under multi-event contingency conditions”, Ain Shams University. Production and hosting by Elsevier 2015. Benabid, M.Boudour, M.A. Abido, “ Optimal Location And Setting Of SVC And TCSC Devices Using Non- Dominated Sorting Particle Swarm Optimization”, Indian Institute of science direct, Elsevier vol.79, 2009,pp.1668-1677. ShraddhaUdgir, Sarika Varshney, Laxmi Srivastava,, “Optimal Placement And Sizing Of SVC For Voltage Security Enhancement”, international Journal of Computer Applications, vol.32, no.6, October 2011,pp. 0975-8887 . Sarker Jayanti, S.K. Goswami“Solution of multiple UPFC placement problems using gravitational search algorithm” Electr Power Energy system, 2014, pp. 531–41. Dutta Susanta, Roy Provas Kumar, Nandi Debashis, “Optimal location of UPFC controller in transmission network using hybrid chemical reaction optimization algorithm” Electr Power Energy system, 2015,pp.94–211. Ghadimi, A. Afkousi-Paqaleh, A. Emamhosseini,“A PSO based fuzzy long term multi objective optimization approach for placement and parameter setting of UPFC”, Arab J Sci. Eng, ;39(4) , 2014,pp.2953–63. Ti wari Rajive, K.R Niazi, Gupta Vikas, “Line collapse proximity index for prediction of voltage collapse in power systems” Electr Power Energy Syst, 2012. Ghasemi Mojtab, Ghavidel Sahand, Rahmani Shima, Roosta Alireza, Falah Hasan, “A novel hybrid algorithm of imperialist competitive algorithm and teaching learning algorithm for optimal power flow problem with non- smooth cost functions” Eng. ApplArtifIntell, 2014, 29:54–69. NiknamTaher, Narimani Mohammad Rasoul, Azizipanah- Abarghooee Rasoul. “A new hybrid algorithm for optimal power flow considering prohibited zones and valve point effect”. Energy Convers Manag, 2012,pp:197–206. K .Pandiarajan, C.K BAbulal “Fuzzy harmony search algorithm based optimal power flow for power system security enhancement” Electrical Power and Energy system: 2016,pp:72–79. KadirAbaci, Volkanyamacl, “Differential search algorithm for solving multi objective optimal power flow problem" Electrical Power and Energy System, 2016, pp:1–10. I Rashed, H. I Shaheen, X. Z .Duan, S.J Cheng, “Evolutionary Optimization techniques for optimal location and parameter setting of TCSC under single line contingency" Applied Mathematics and Computation, 2008, pp: 133-147. I .Shaheen, G. I, Rashed, S. J. Cheng, “Optimal Location and Parameters Setting of UPFC based on GA and PSO for Enhancing Power System Security under Single Contingencies” IEEE, 2008. Nandakumar, R.Dhanasekaran “Optimal power flow with FACTS controllers using hybrid PSO". Arab J Sci. Eng, 2014. Abstract: Cloud computing is one of the hottest buzzword in the academia and as well as industry with services such as Infrastructure as a service, Platform as a service, Software as a service. Since, last decades open-source technology help people who do not wish to use commercial infrastructure for cloud. In the paper I shall discuss Overview of Elastic Utility Computing Architecture for Linking Programs to Useful Systems (Eucalyptus) –a private cloud computing implementation, Advantages and Over-view of various components of Eucalyptus cloud, Installation and configuration of Eucalyptus cloud. So, that it can be easily implemented by the students in the technical universities for their research project works. Keywords: Eucalyptus, Linux, Cloud, Walrus, Open source software. Building Private Cloud Using Eucalyptus by Navaneet Singh in International Journal of Advanced Research in Computer Science, Volume 8, No. 4, May 2017. GI Cloud (Meghraj) Adoption and implementation Roadmap by National Informatics Center Department of Electronics & I.T, Government of India in its website in April 2014. SaaS flavoured Cloud computing implementation in Indian Universities -An Imagineering thought by P. Arunkumar in IEEE- International Conference On Advances In Engineering, Science And Management (ICAESM -2012) March 30, 31, 2012. Abstract: In spite of severe , frequent occurrence and causing significant loss of life and property every year due to earthquake and flood ,a large proportion of total population lives in earthquake or/and flood prone areas at risk. As a result of ground shaking due to earthquake event the soil below ground water table loses its strength and stiffness and flows like liquid not only in the lateral direction but also eject to the surface ultimately causing the ground surface to deform /stresses on the buildings on top of the liquefied soil. This can be prevented either by ground improvement or designing heavy duty foundation .Every building stands on foundation but not all the buildings stand on same foundation. As the soils consist of different dominant soil layers in different areas, highly variable stratification and depth, the different requirements imposed on the foundation soils by buildings of different sizes/heights have led to a range of different types of foundations and individual design of building foundation is a must for a building based on total load imposed on foundation and soil characteristics of the area. This paper is not only the study of the different types of prospective foundations, review of ground improvement techniques and identification/determination of soil characteristics of critical area in context to earthquake/flood around Ramgarh lake in Gorakhpur but also it is an attempt to search / development of an optimized foundation for earthquake &flood prone areas. Keywords: Optimized foundation, flood prone areas, soil layers, ground improvement techniques. Al-Karni, A.A. and Budhu, M.,(2001) “An Experimental Study of Seismic Bearing Capacity of Shallow Footings”, Proc. 4thInternational Conference on Recent advances in Geotechnical Earthquake Engineering and Soil Dynamics and symposium in Honor of Professor W.D. Liam Finn, CD-ROM, San-Diego, CA, 2001. Baidya, D.K. “Earthquake Resistant Design of Shallow Foundations” Department of Civil Engineering, I.I.T. Kharagpur. (2013). Caltrans Seismic Design Criteria, Version 1.7, California Department of Transportation, Sacramento, CA. EUROCODE 8 (EUROPEAN PRE-STANDARD 1994). “Design Provisions for Earthquake Resistance of Structures-Part 5: Foundations, Retaining Structures and Geotechnical Aspects,” The Commission of the European Communities. Knappett, J.A. and Madabhushi, S.P.G. (2009). “Seismic Bearing Capacity of piles in liquefiable soils.” Soils and Foundations, Japanese Geotechnical Society, 49(4), 525-535. Kumar, J. and Kumar, N.(2003), “ Seismic Bearing Capacity of Rough Footings on Slopes using Limit Equilibrium, Geotechnique, 53(3), (2003), 363–369. Kumar, K. (2008). “Basic Geotechnical Earthquake Engineering”. New Age International Publishers. Liu, L., Dobry, R., (1997). “Seismic Response of Shallow Foundation on Liquefiable Sand”. J. Geotech. Geoenviron. Engng., ASCE, 123(6), 557-567. Liu, H. (1995).“An Empirical Formula for the Evaluation of Building Settlements due to Earthquake Liquefaction”. Proc. 3rdInter. Conf. Rec. Adv. Geotech. EQ Engrg. & Soil DynamicsVol. 1, 289-293. Marcuson, W.F. and Haynes, M.E., (1990), “Stability of Slopes and Embankments During Earthquakes”, Proc. ASCE/Pennsylvania Department of Transportation Geotechnical Seminar, Hershey, Pennsylvania. K , Hamada.J, Yamada.T. 2010. Field Measurements On Piled Rafts with Grid-Form Deep Mixing Walls on Soft Ground, Geaotechnical Engineering-SEAGS .42(2). Abstract: Surrounded by the cladding of lower refractive index, the optical fiber is a guide of wave which exploits the refractive properties of the light. It is a physical transmission channel used for the propagation of luminous signals modulated in wavelengths. Compared with the other existing transmission channels, it presents an almost constant attenuation on an enormous interval of frequencies and thus offers the advantage of large band-widths. By allowing the communication on a long distance, the optical fibers constitute one of the key channels of the telecommunications. Information to be transmitted is either analogical or discrete; however the digital transmission by optical fiber constitutes the main use of optical fiber connections. Indeed, because of their limited performance, optoelectronic components such as LED, laser, photodiode or phototransistor are not the best ones in the analogical multiplexed transmissions. The development of the diode-pumped, erbium-doped fiber amplifier (EDFA) played a crucial role in enhancing the feasibility and performance of long-distance and WDM applications. The emission module of an optical link is made up of various components (laser, modulator, driver…). It provides to transmission channel a visible signal on which the data are been registered. The external technique of modulation to 40 Gbits/s was retained because beyond 5 Gbits/s, the external modulation is essential to maintain a quality of correct transmission. The principal element of the transmission channel is the optical fiber. It offers a very great transport capacity, larger than the opto-electronics converters and the electronic components. The reception module converts the information carried by the modulation of the luminous signal into pulses. It is composed of a photodiode, an electrical amplifier, a filter and a regenerator. In this study, simulation system was been used in order to optimize an optical link with 40 Gbits/s in temporal electronic multiplexing (ETDM) and to evaluate the drifts impact of the parameters of the components on the performances of the optical systems. In this paper, the simulator system COMSIS was retained, it allows the researchers and the engineers to model, simulate, analyze and design any module of treatment of the signal, from the most elementary device to the more complex communication system . It is an interactive environment which combines numerical tools with graphic functionalities and a user interface. Keywords: Digital transmission, Optical fiber, Modulation, Simulation. C. COULIBALY ’’Raccordement de la fibre optique’’ Société des Télécommunications du Mali(SOTELMA), Centre de Formation Professionnelle des Télécommunications(CFPT), manuel du stagiaire, 2007-2008. K. Maiga ’’Synchronous Digital Hierarchy(SDH)’’ Société des Télécommunications du Mali(SOTELMA), Centre de Formation Professionnelle des Télécommunications(CFPT), manuel du stagiaire. Maiga ‘’ Base de la transmission par la fibre optique’’ Société des Télécommunications du Mali(SOTELMA), Centre de Formation Professionnelle des Télécommunications(CFPT), manuel du stagiaire. P. Kaminow, T. L. Koch “Optical Fiber Telecommunications III A “, Lucent Technologies, Bell laboratories, Holmdel, New Jersey. J- L. Verneuil ’’ Simulation de systèmes de télécommunications par fibre optique à 40 Gbit/s’’ Université de LIMOGES 2003. Zouine ’’Contribution par la simulation système à l’étude des contraintes des composants optoélectroniques sur la transmission optique utilisant technique CDMA’’ Thèse de doctorat Université de.LIMOGES 2005. Fadila ‘’ Optimisation par la simulation système d’une chaine de transmission numérique par fibre optique haut débit’’ Mémoire de Magister Université ABOU BEKR BELKAID – TLEMCEN 2010.